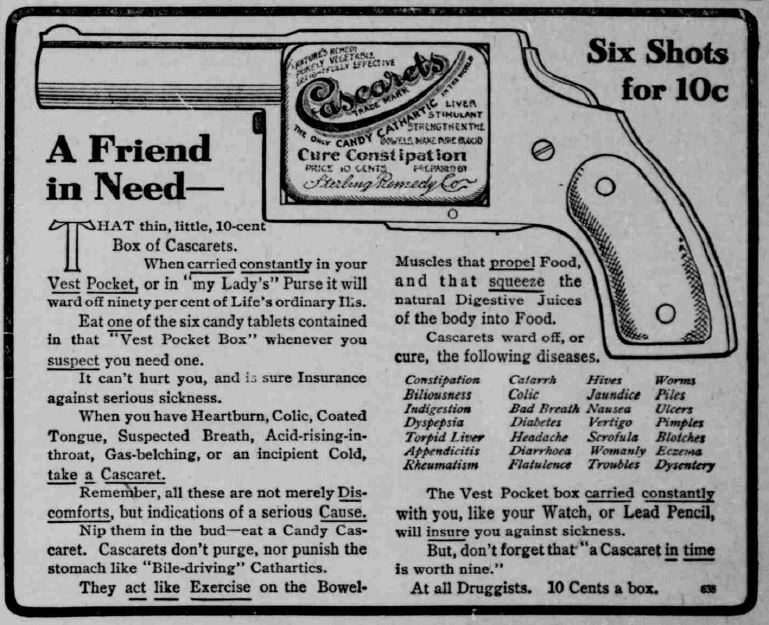 In the sometimes not-so-good old days, Hoosier newspapers were overflowing with ads for what today we’d call snake oil. 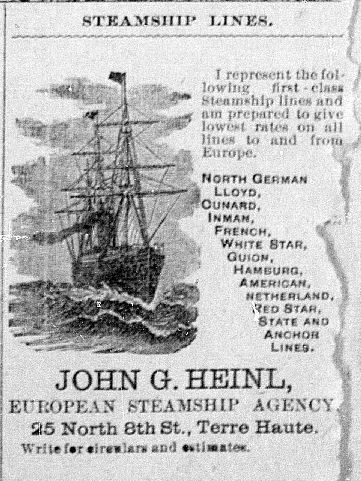 Before the Civil War, when these papers typically only ran to four pages and often lacked enough subscribers to stay afloat, vast amounts of newsprint went to work advertising spurious quack panaceas. 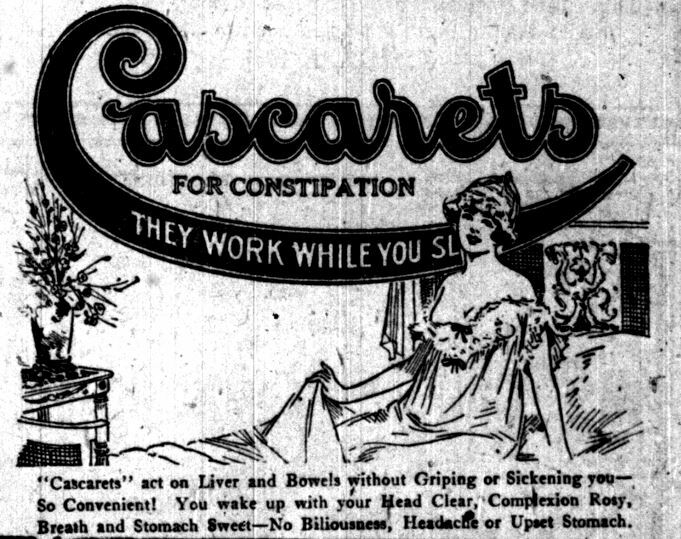 As late as 1900, editors in need of underwriters for the news had no qualms about giving ad space to “doctors” who thought that cocaine could cure a sore throat or that an effervescent ginger “summer drink” could get rid of your cholera. 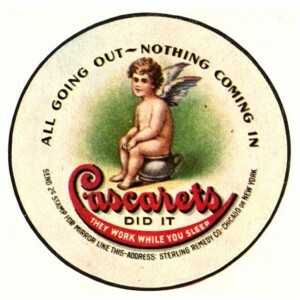 Nor did the amount of medical ads diminish after the war. 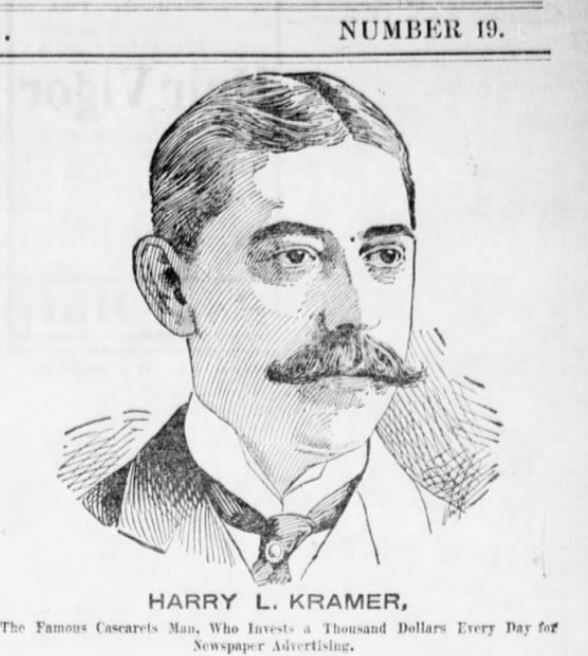 Born in Keokuk, Iowa in 1861 to parents who hailed from Richmond, Indiana, Harry Lewis Kramer was a clever businessman and one of the most energetic and revolutionary advertisers of his day. 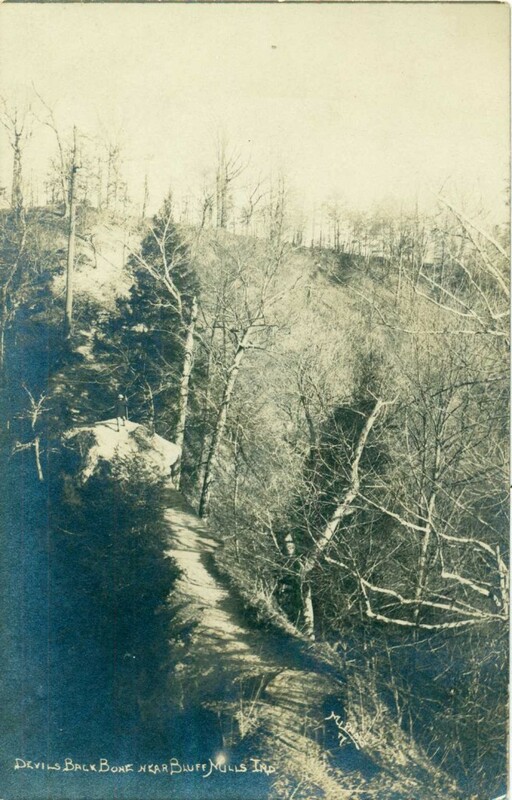 In 1890, the 29-year-old entrepreneur, who lived in Attica in Fountain County, attracted investors and started up a health resort at a spot near the spectacular Fall Creek Gorge in neighboring Warren County. 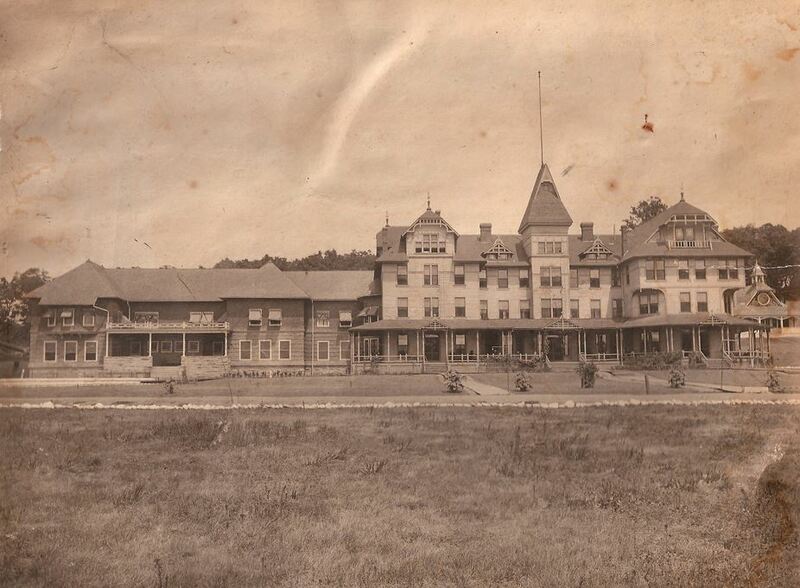 Built around a mineral spring discovered in 1884 by Civil War veteran Samuel Story (a victim of severe arthritis who noticed his ailment getting better when he sloshed around in the mud), the lavish hotel Kramer constructed first went by the name Indiana Mineral Springs, then as the Hotel Mudlavia, after the soothing mud-baths offered there. A service town that popped up next door to the resort took the name of its postmaster, Kramer, and is still on the map, though the hotel has faded into legend. Kramer’s sprawling Mudlavia health spa attracted the rich and famous — including boxing champion John L. Sullivan, Indianapolis poet James Whitcomb Riley, and Hoosier songwriter Paul Dresser. 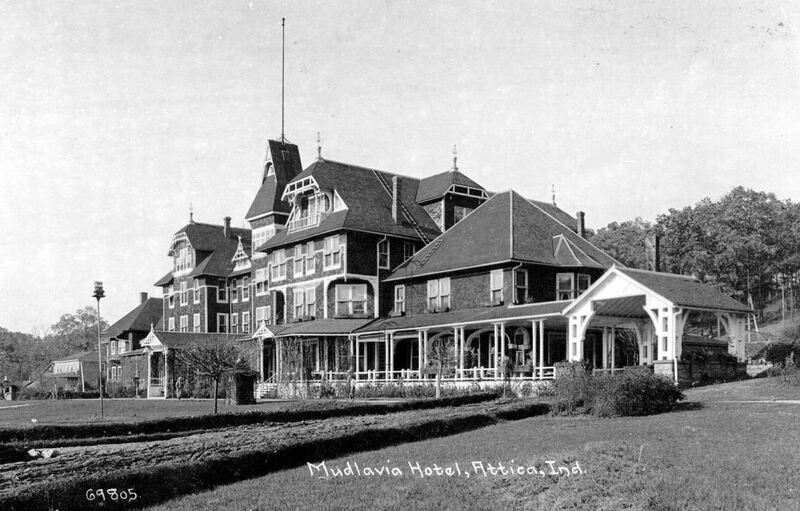 Papers lauded it at as “one of the finest sanatariums in the United States.” Mudlavia ranked with the great mineral baths at French Lick, Indiana; Bedford, Pennsylvania; and Hot Springs, Arkansas. The lure? Not just nature — or the elaborate Chinese garden out back. Pure mineral waters bubbling out of the Warren County hills offered relief from a vast array of bodily ailments. Infusing water with mud, doctors and their assistants at Kramer’s resort offered a therapeutic “Magno-Mud” cure (sometimes misspelled “mango mud” in the papers), giving blissful relief to aching joints and muscles. Kidneys and livers also went away from Mudlavia feeling much happier. 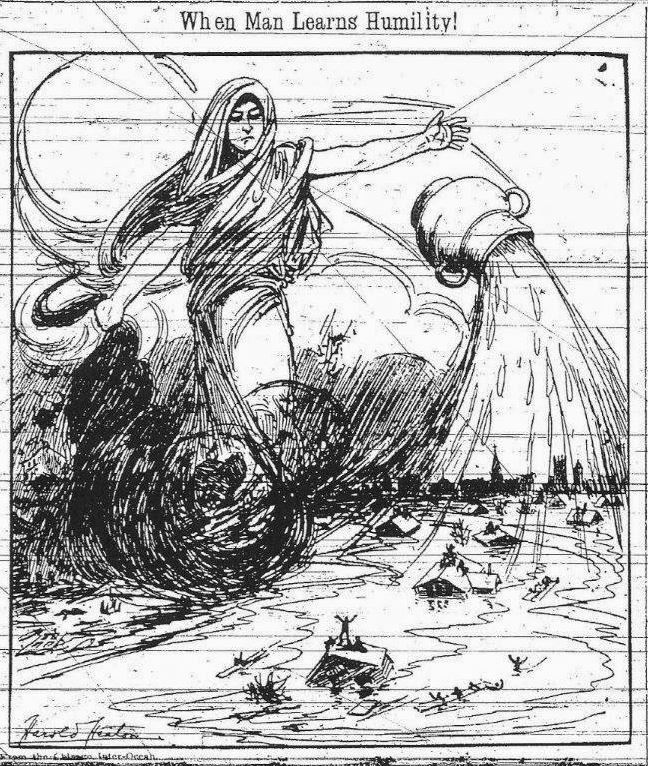 A guest at Mudlavia gets a mud bath, circa 1917. An ad for Kramer’s chewing gum, “No-To-Bac,” hangs on the wall behind him. Williamsport-Washington Township Public Library. 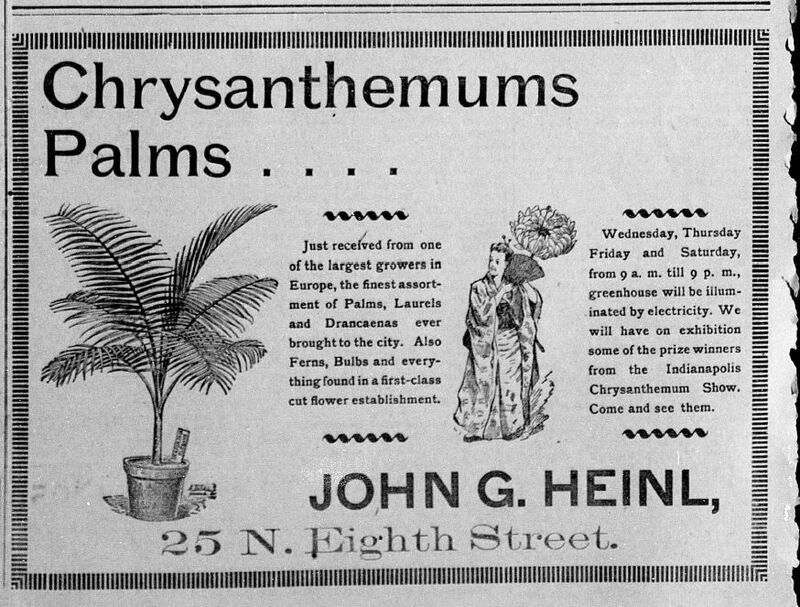 Closely tied to Kramer’s investment in this tranquil health spa in the luscious Hoosier woods was his other main business interest: a sugary substitute for the dreaded dose of castor oil once administered by American mothers everywhere. 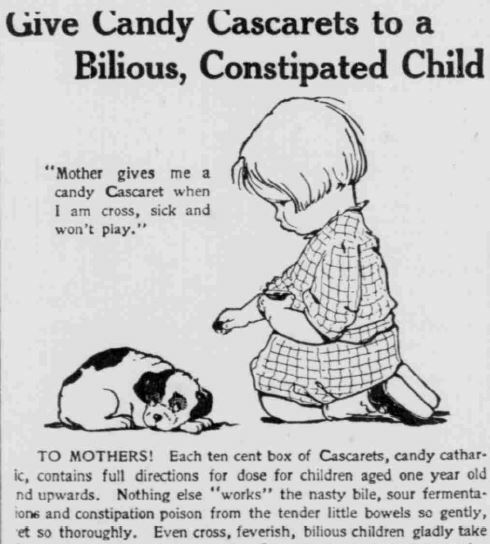 This was Kramer’s nationally-famous “candy cathartic,” Cascarets. Dozens of speedy and sure-fire purgatives feature in the annals of 19th-century medicine and journalism. 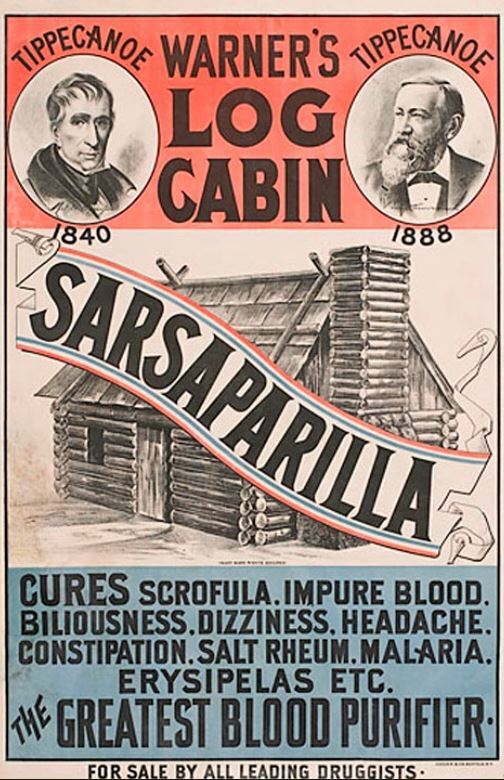 From a spoonful of old-fashioned castor oil itself to a gentler “Castoria” and a wide variety of sarsaparillas and “fig liver syrups,” our ancestors knew plenty of ways to achieve what they rightly saw as the highly-desirable result of these over-the-counter drugs: a vigorous flush of the intestines. Hoosiers William Henry Harrison and his grandson Benjamin Harrison appeared on this 1880’s ad for a cure-all wonderworker. I’m not sure if Kramer ever studied chemistry and medicine or just stuck to the business end of things, but in the 1890s he made a fortune selling laxatives. 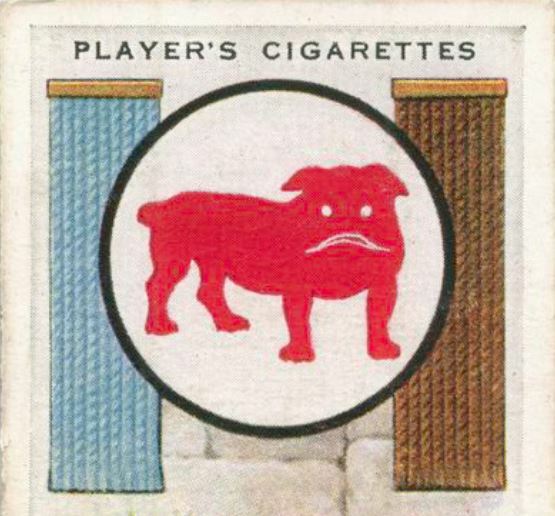 (The Attica entrepreneur also marketed a chewing gum called No-To-Bac, which claimed to help smokers kick the habit.) 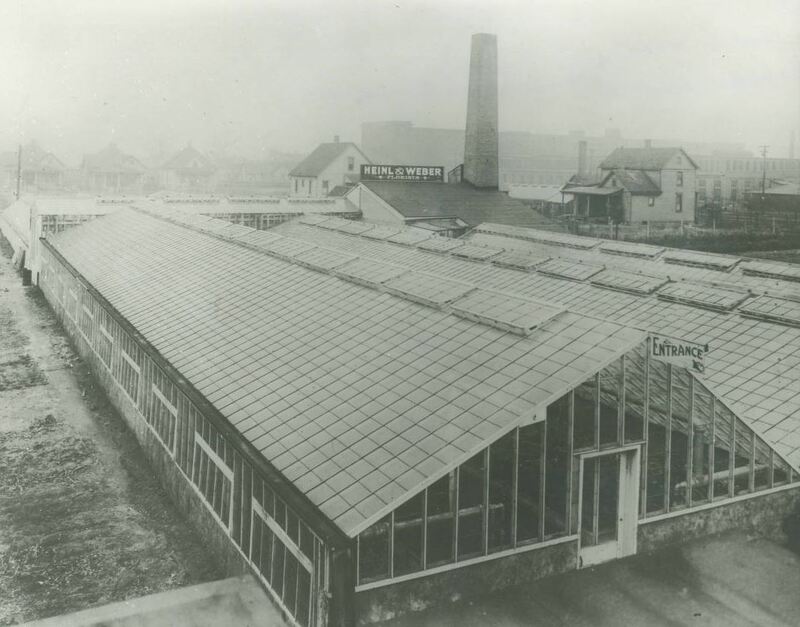 Pioneered at a lab in Attica, by 1899 five million boxes of octagonal, chocolaty-tasting Cascarets were pouring out of Kramer’s factories in Chicago and New York. “Cascaret Kramer” revolutionized American advertising, but he was no medical Napoleon. Plant-based laxatives, used to flush out the bowels, had figured for millennia into folk medical practice. The jolt to the nether regions customers got from these candy cathartics came from the drug’s most potent ingredient, the bark of a species of buckthorn tree — the cascara, native to the Pacific Northwest, northern California, and Idaho. Early Spanish explorers called this diminutive tree the cascara sagrada (“sacred bark”). Mixed with aloe and the roots of rhubarb, Native Americans on the Pacific Coast and in the Northern Rockies used it as a natural purgative. By the late 1800s, trainloads of buckthorn bark were being shipped out of the Northwest to pharmaceutical companies around the world in quantities that endangered the tree’s survival. Much of the bark went to the factories of the Sterling Remedy Company, Kramer’s wildly successful over-the-counter pharmaceutical enterprise. 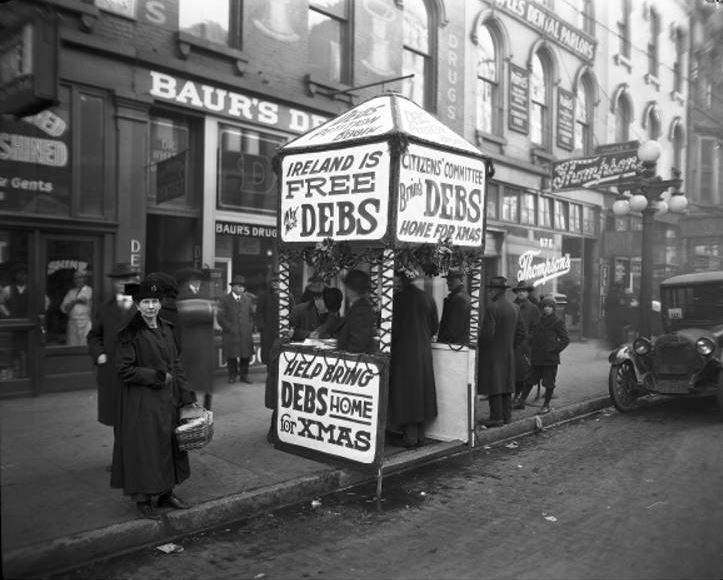 Like other Americans, Hoosiers were wild for a good clean-out. Kramer helped create the craze. 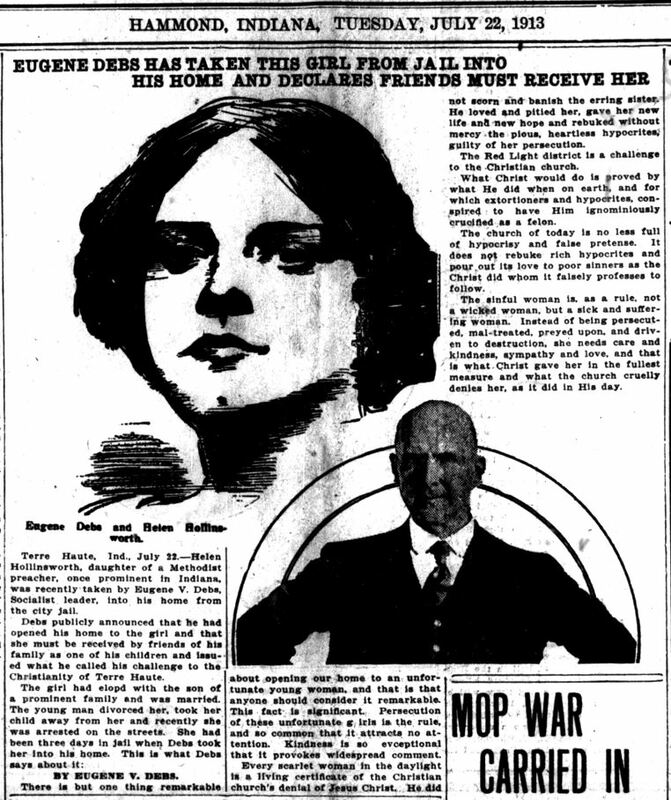 On April 25, 1907, the Indianapolis News ran a full page-length ad (really a medical manifesto). “The Curse of Constipation” was almost certainly written by Harry Kramer. Constipation is indeed the curse of mankind. From a simple bit of carelessness this dreadful destroyer of life gets a hold on its victim and slowly but surely tortures him to a horrible death. 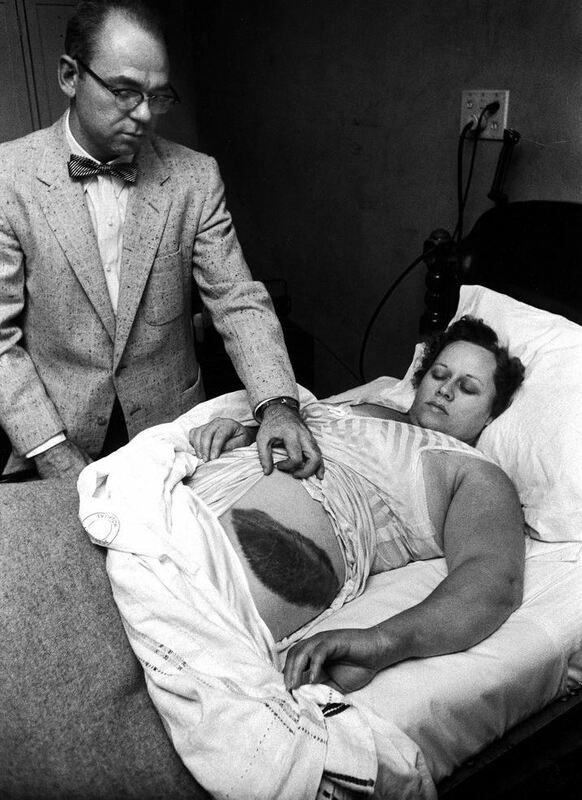 It is a fact that all people at some time or other become constipated, and if the warning be not instantly heeded, and the system put back into working order without delay, the victim is marked for death — a long, lingering one, often so disguised that no one would dream of its original cause. 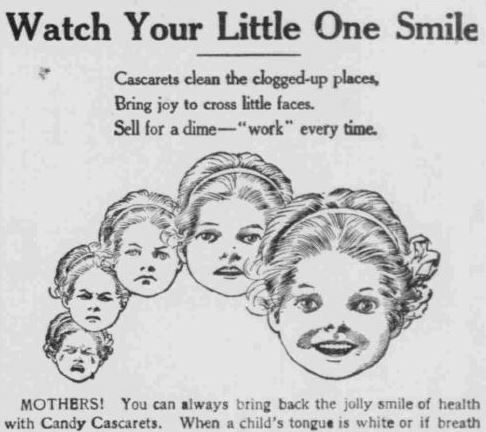 Going into amazing detail in the pages of the News, Kramer went on to describe how Cascarets “begin to cure the moment you begin to chew them.” These buckthorn candies give “tone and strength” to the walls of the intestines and (so the ad went) help purify the blood, give “a ruddy complexion; bright eyes; clear, active brain; everything that makes life worth living.” Kramer promoted his tablets as useful against ills far beyond those affecting the intestines. Children’s diseases, headaches, nervous ailments, female complaints, skin diseases, appendicitis, oral thrush, and worms could all be kept in check or cured. 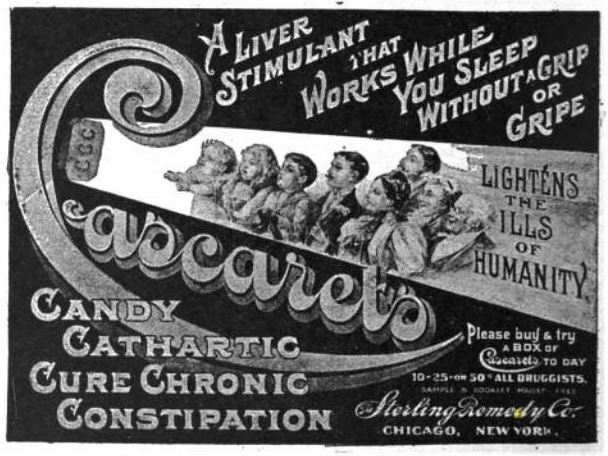 “Grandfather’s Cure for Constipation,” one of Kramer’s humorous ads, appeared in Gunter’s Magazine Advertiser in 1906. Kramer’s clever marketing extended to kids, who often didn’t realize they were taking “medication” when they downed a sweet Cascaret. 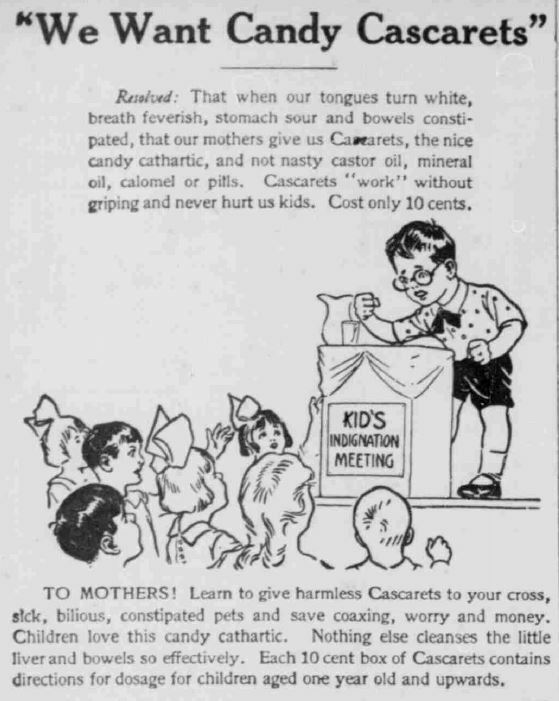 “They are harmless and safe for the little folks.” This ad from the South Bend News-Times on November 20, 1918, shows a “Kid’s Indignation Meeting.” A marketing genius, Kramer often paid to have his ads run in the regular news columns of papers. 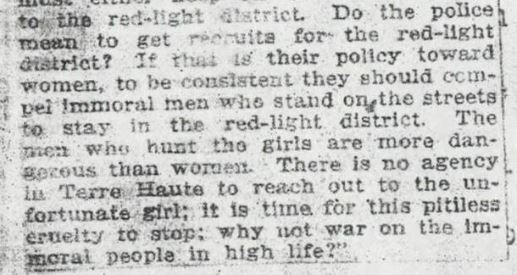 South Bend News-Times, November 19, 1918. 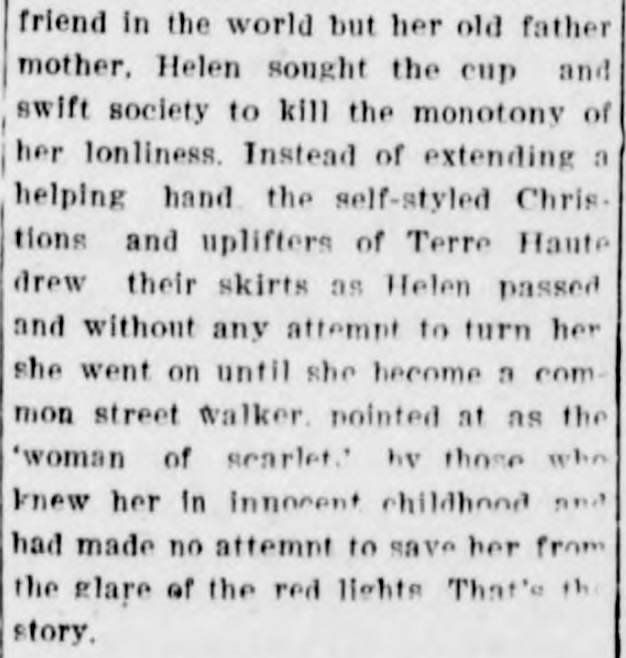 South Bend News-Times, November 30, 1918. 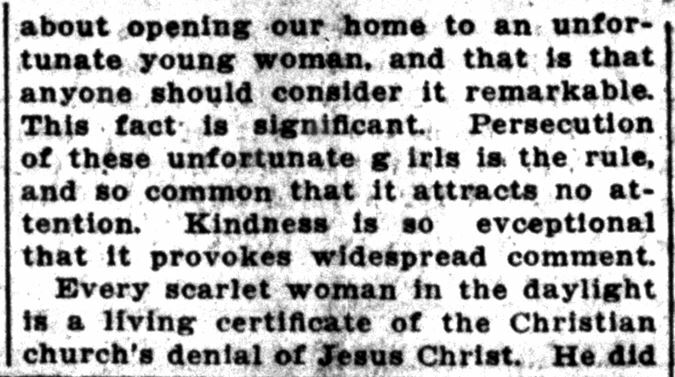 Plymouth Tribune, January 16, 1908. 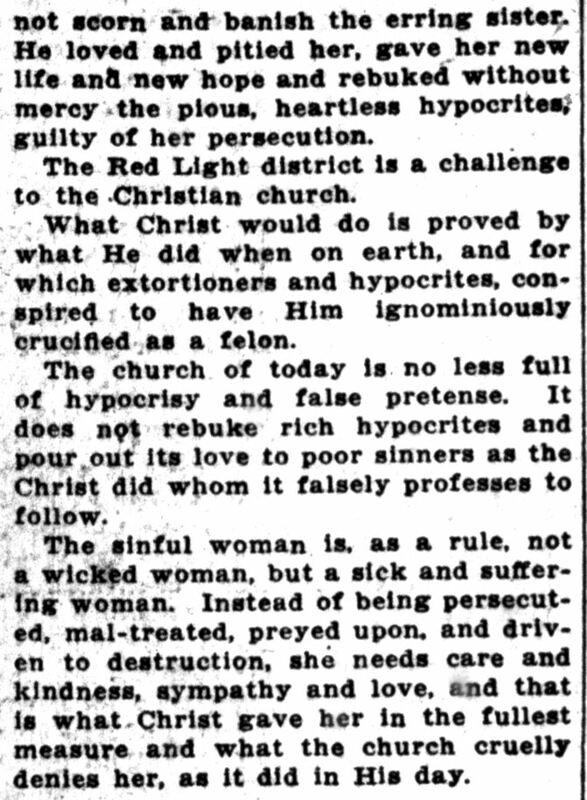 Lake County Times, April 5, 1920. Hoosier State Chronicles. Tragically, on February 29, 1920, a fire in a linen closet reduced the vast wooden hotel to ashes. Many sick patients at the sanitarium, unable to walk due to rheumatism, were barely able to get out alive. 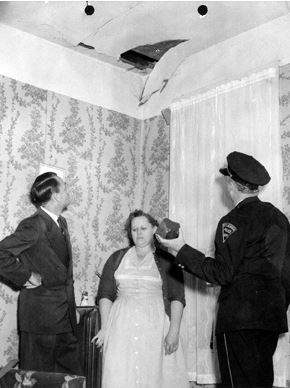 Some guests jumped from third-story windows, then suffered in the February cold even as Mudlavia smoldered in front of them. Over fifty-thousand dollars in jewels perished in the flames. 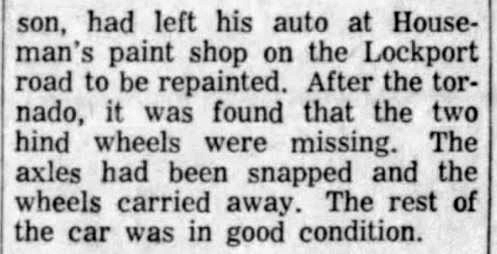 Kramer retired to 1012 Ferry Street in Lafayette and died of a heart attack in 1935, apparently while visiting the license branch of the Tippecanoe County DMV. 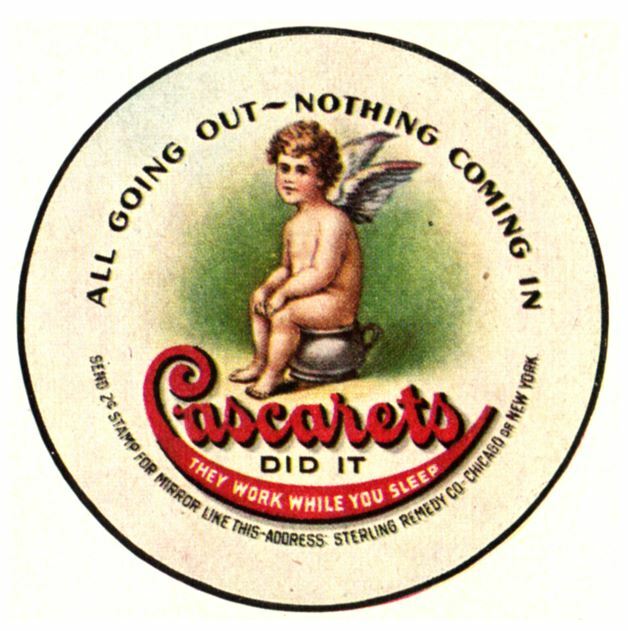 The inventor of Cascarets is buried at Lafayette’s Greenbush Cemetery. A retirement home and restaurant were built on the site of Mudlavia. They, too, burned down in 1974. (Some ghost hunters claim the site is haunted.) As late as 2008, the natural spring that once made this place famous was still being tapped by an Indianapolis-based mineral water company. The FDA banned the use of cascara bark in 2008, when researchers discovered the plant has carcinogenic properties and (ironically enough) may contribute to liver ailments. 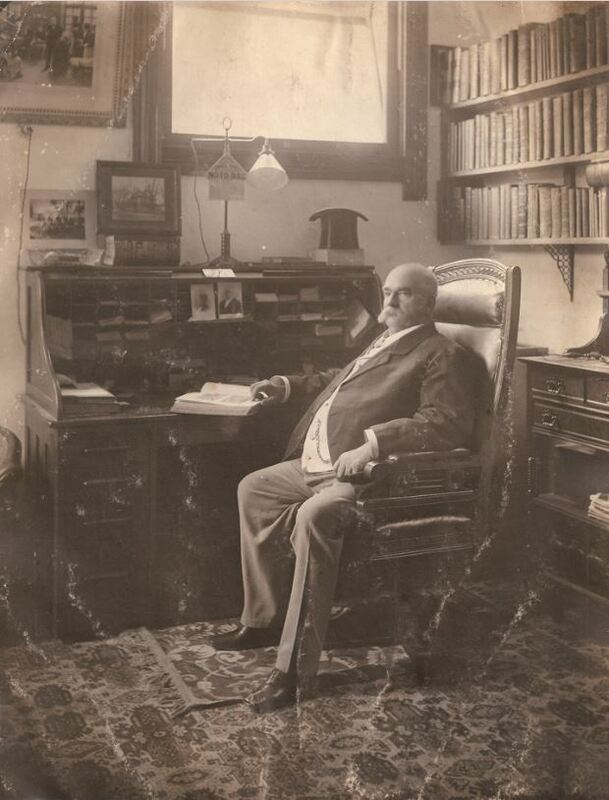 Kramer in his office at Mudlavia around 1917. Mudlavia Hotel, Attica, Indiana. Allen County Public Library. 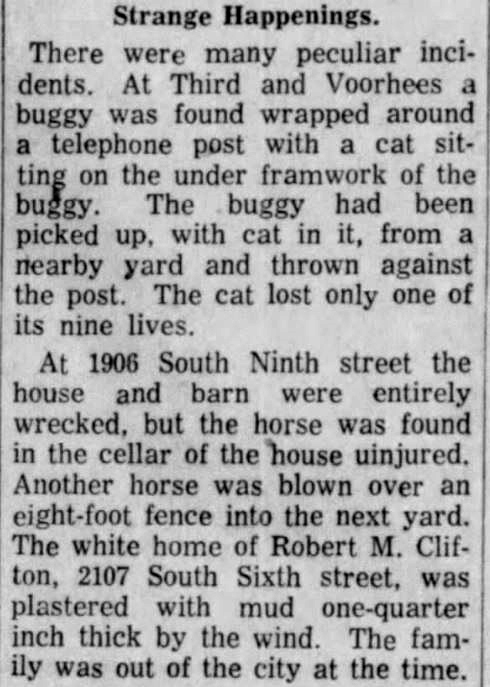 Just like any quick exploration of Hoosier State Chronicles turns up exciting history hidden in dusty newspapers, Hoosier farmers were unearthing plenty of odd finds in their fields in days gone by. 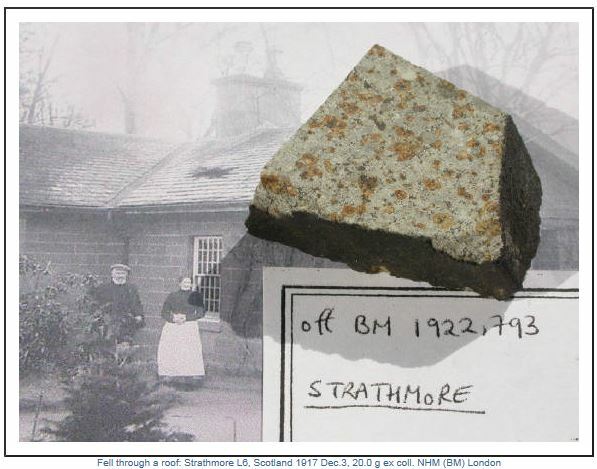 Collett’s own story is as interesting as any of the geological and paleontological finds he studied. 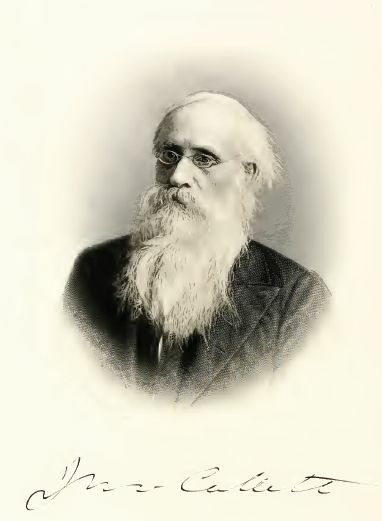 He was born in 1828 on the 5,000-acre farm of his father, Stephen Stevenson Collett, near Eugene in Vermillion County. The Colletts had founded that small western Indiana town and also helped lay out Newport on the Wabash River, still the county seat. 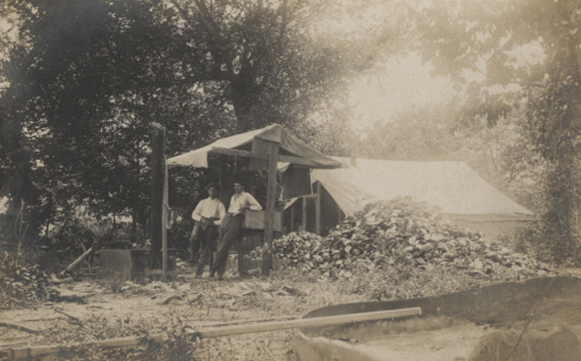 Collett’s father and grandfather were major government surveyors in the Maumee and Wabash valleys, going back to the time when Indiana Territory stretched as far north as Lake Superior. During the waning days of the fur trade in the Midwest, Stephen S. Collett even conducted business with the famous John Jacob Astor when Astor was still based at Mackinac Island, Michigan. 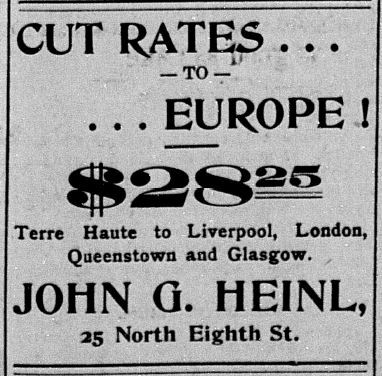 Later a Terre Haute merchant, John Collett’s father also served as an early state legislator for Parke and Vermillion counties. 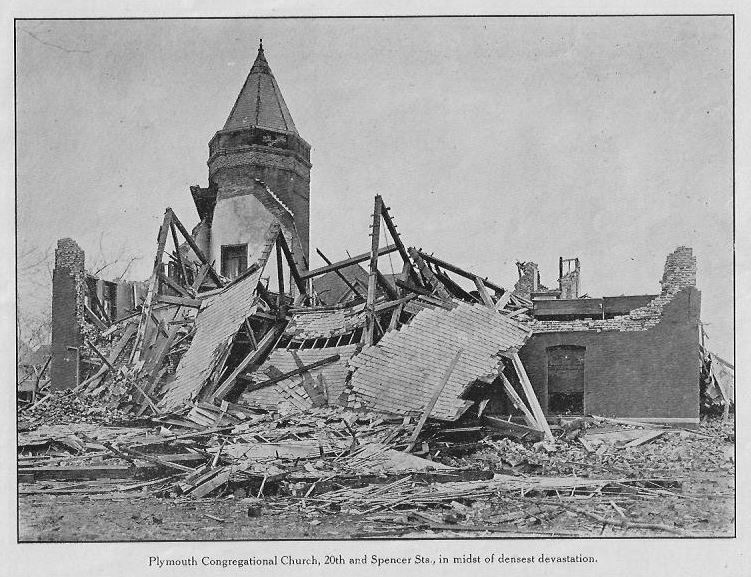 “Straight as a plumb line,” young John Collett had an early aptitude for mapmaking and geology, and grew up surrounded by the raw beauty of pioneer Indiana, a place that would be hardly recognizable to Hoosiers today. 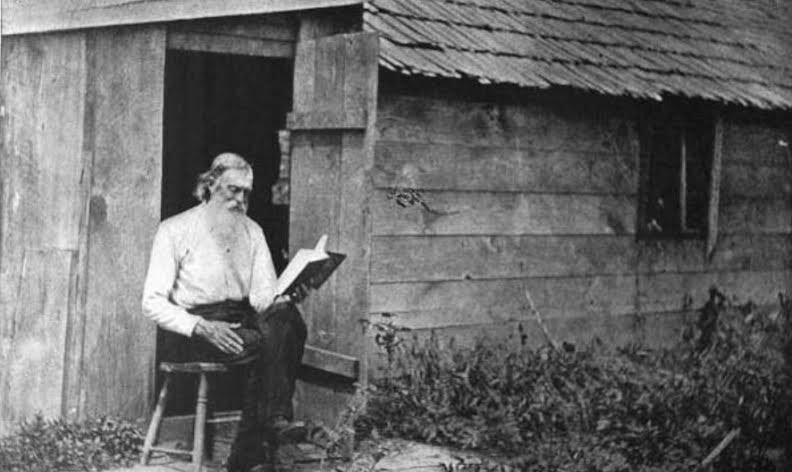 Collett was educated at Wabash College (Class of 1847), where he once listened to a fiery eulogy on Edgar Allan Poe, but returned into farming. 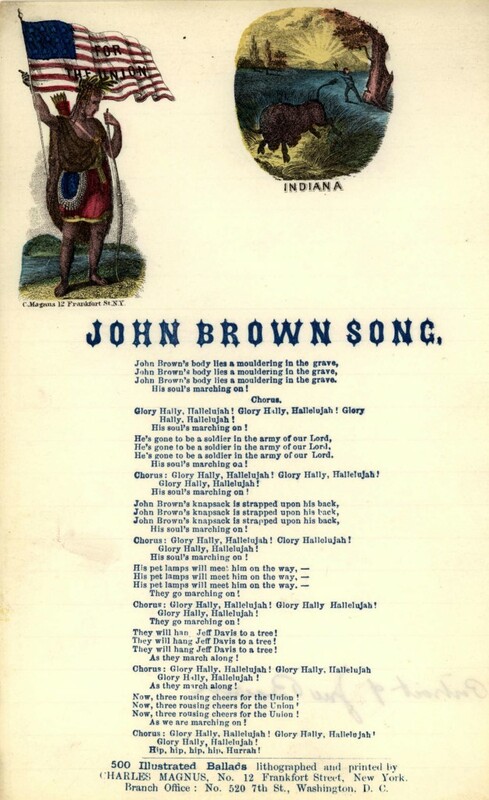 One of the oldest stands of bluegrass in Indiana was said to grow on his large farm at Eugene. 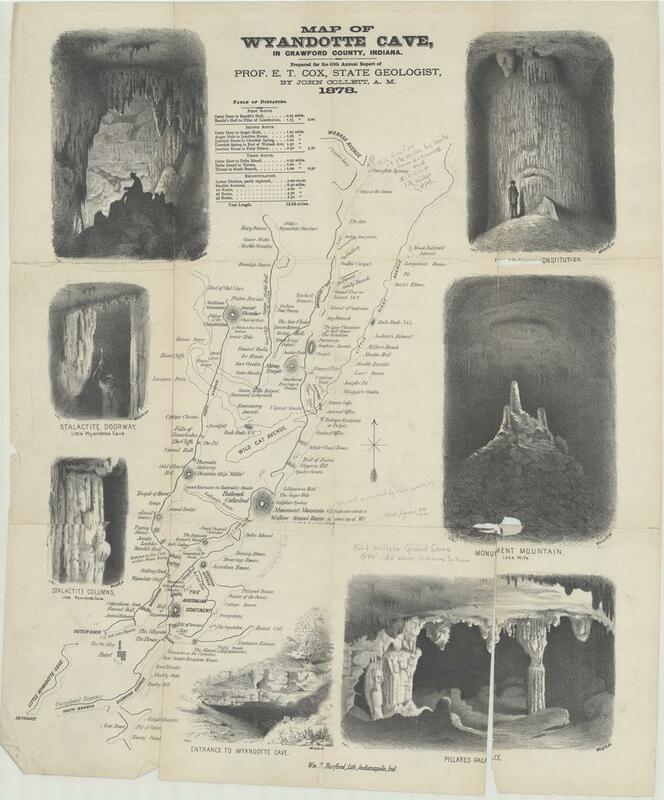 Though Collett helped Cox on several geological ventures (they mapped the recently-discovered Wyandotte Cave together in 1878), he also farmed, not dedicating himself entirely to geology until the 1880s. While serving as Assistant State Geologist, he also represented Parke and Vermillion counties in the State Senate. 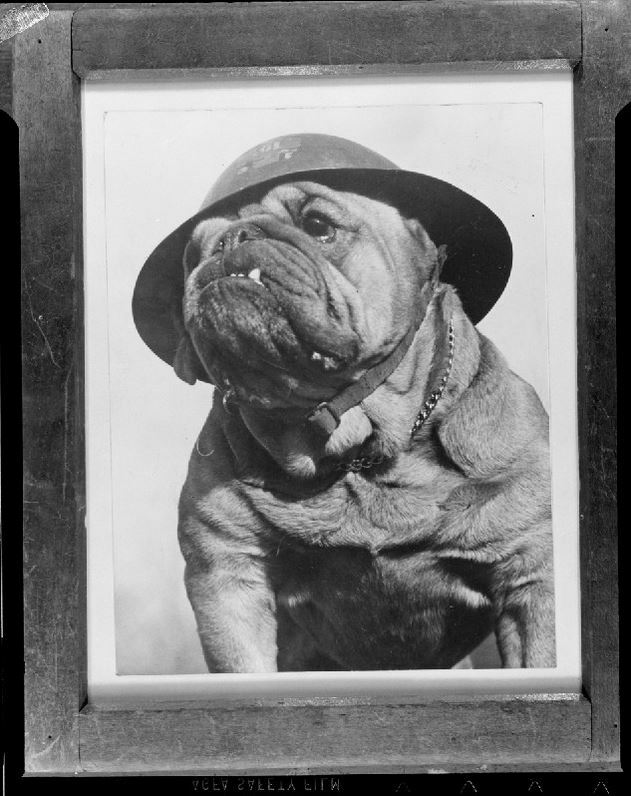 Senator Collett spearheaded a bill to make public drunkenness a crime, supported holding livestock owners responsible for their cattle and pigs running loose, and promoted gravel roads when many of Indiana’s roadways were still morasses of mud in the winter and spring. 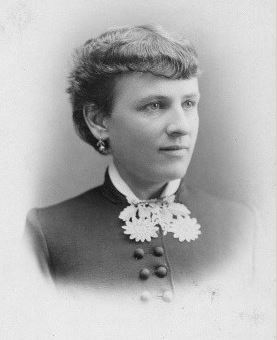 Collett also strove to make children’s education mandatory, build a state mental hospital, and provide homes for orphans. 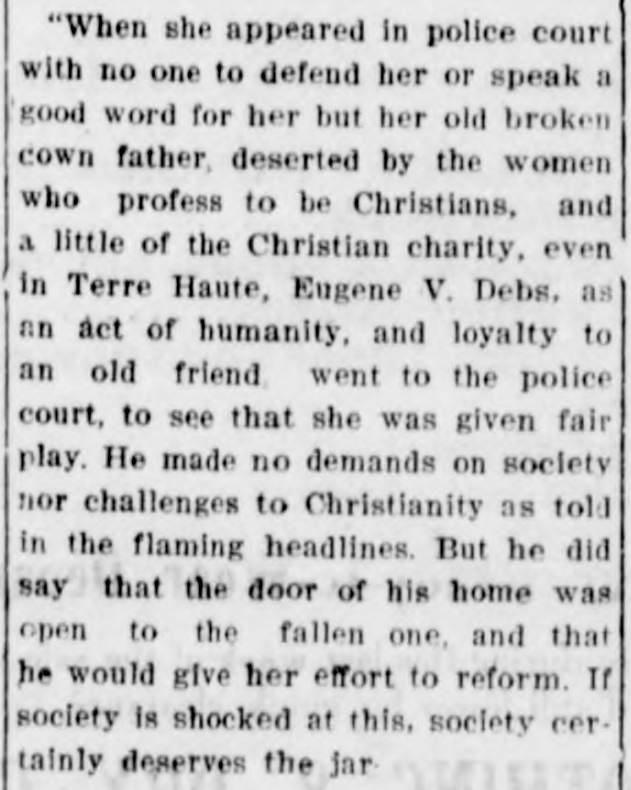 In fact, the 6′ 2″, 200-pound Senator-Geologist, who had “piercing grey eyes” and a “snow white beard of patriarchal length,” was once hailed as “Patron Saint of the Children of Vermillion County.” At Christmastime, back home on his 75-acre farm, “Uncle John” always sent a wagon-load of candy to kids in Eugene and another wagon-load to a Sunday school in Newport. 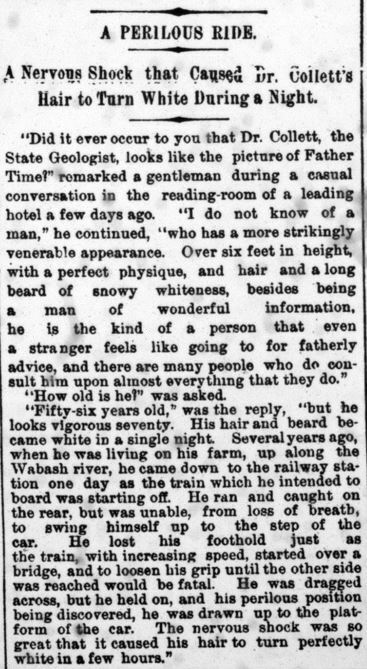 “You may well believe that he stands in higher estimation with the youngsters of Vermillion County than any other man on earth.” Did he send them a wagon full of “rock candy”? 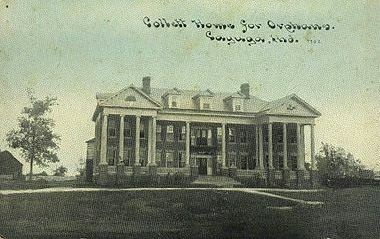 The Collett Orphanage in Cayuga was named for the family. The State Geologist left it a $200,000 endowment in his will. Taking over from E.T. 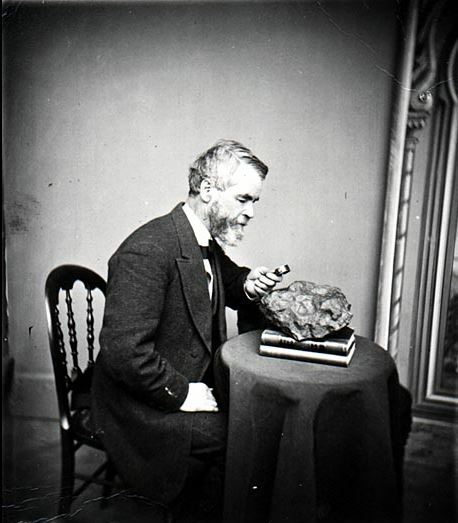 Cox as Indiana State Geologist in 1879, Collett ended up writing some of the standard books of the day on Midwestern geology and paleontology. 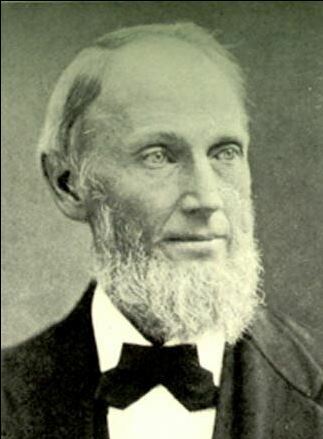 He produced the first geological map of Indiana ever published, in 1883. 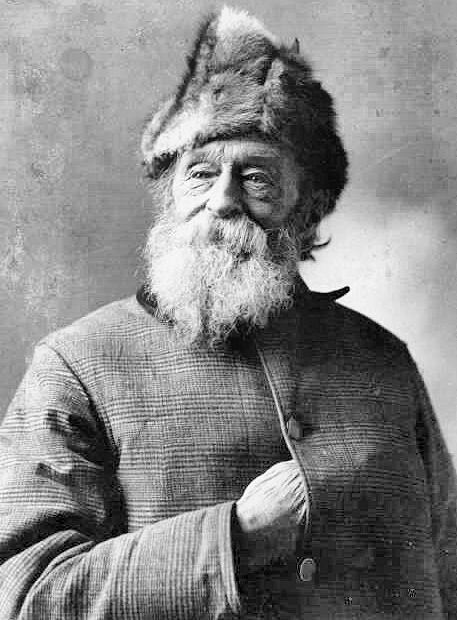 He often spent money from his own pocket to keep geologists out in the field. 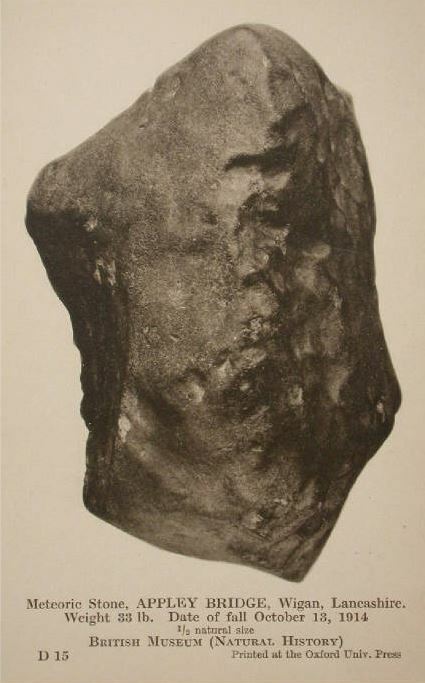 Collett’s scientific investigations helped Indiana become the greatest limestone-producing state in the U.S. and were also useful to coal miners and engineers. 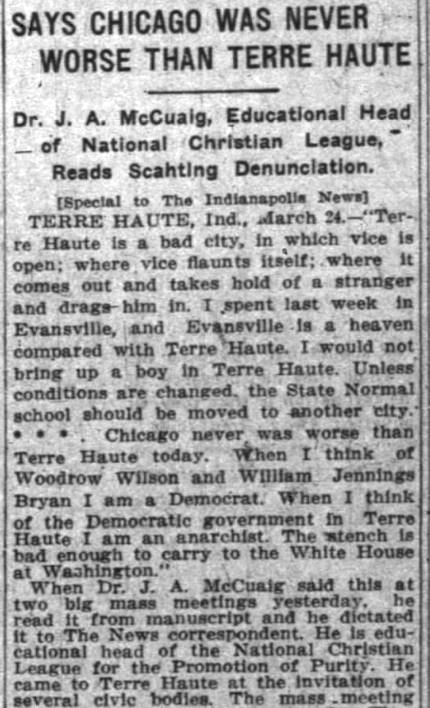 He lived part of the year in Indianapolis, but was often mentioned in newspapers all across Indiana. 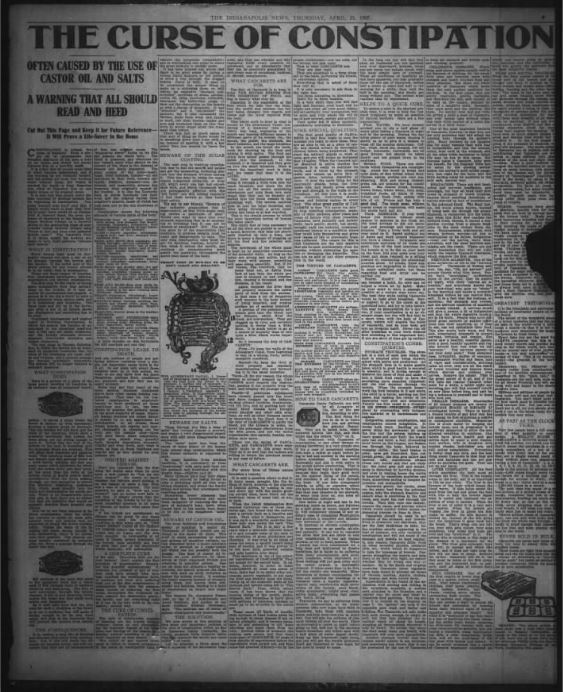 Collett was called on to investigate and explain a sudden natural gas explosion in Shelby County in 1890 that left huge crevices in the earth; examine the famous mineral spring at Montezuma; weigh in on the Midwest’s freshwater pearl boom; study a meteorite discovered near Kokomo; and talk about mastodons in the Wabash Valley. 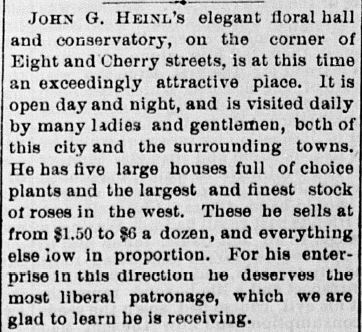 In 1891, he suggested incorporating more animals into American architecture. Prehistoric animal bones were especially prone to turning up in the 1800s, as settlers literally cut their way into landscapes that had been left intact since the last Ice Age. The draining of wetlands for agriculture — one of the biggest engineering projects of the 19th century — turned up remains of long-dead creatures, including ancient horses and giant beavers. Railroad construction and mining also unearthed old relics. 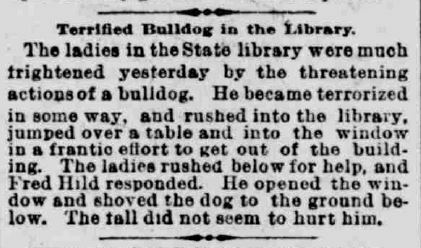 Indianapolis Journal, October 12, 1890. Hoosier State Chronicles. 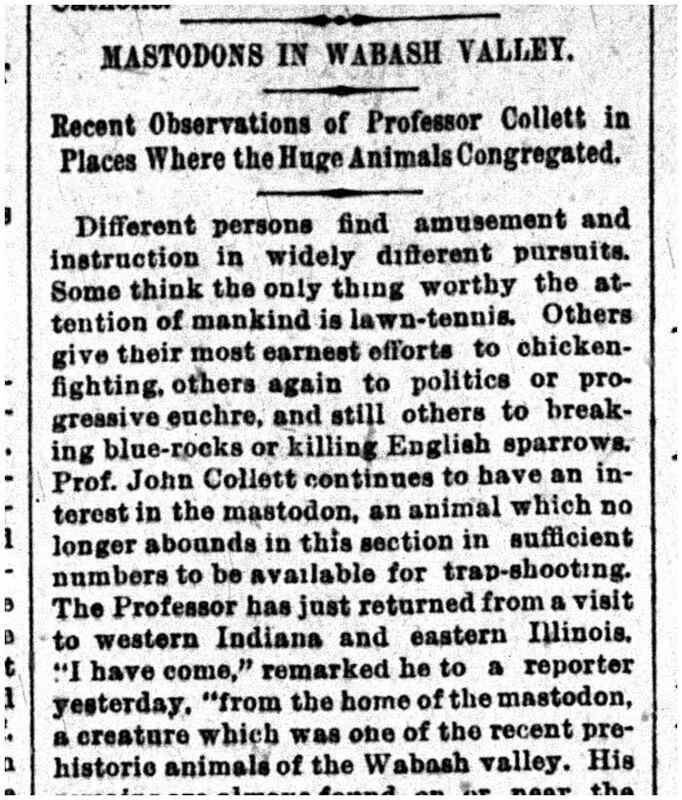 Geologist John Collett gave a talk in 1890 about “Remains of Big Animals” that were showing up in Indiana. 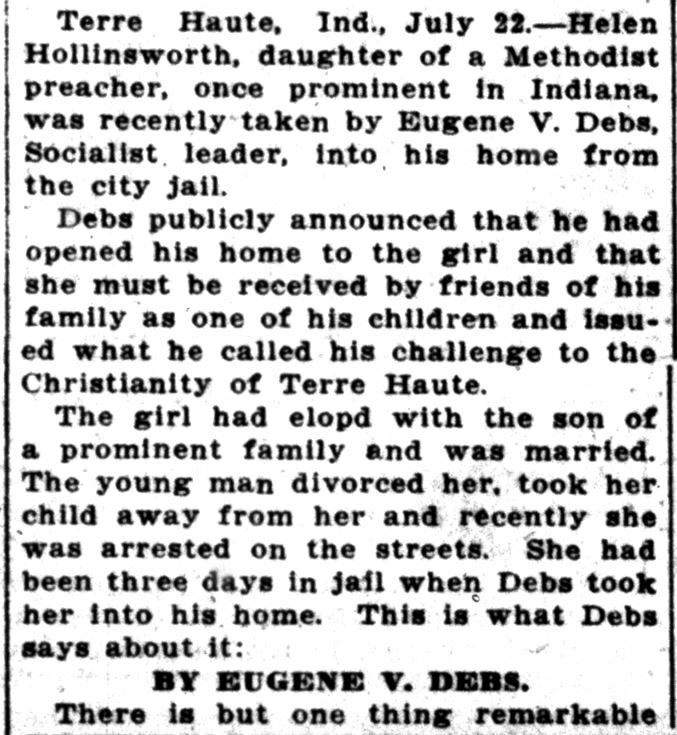 The talk was reported in the Indianapolis Journal on September 14. One of the most interesting parts of that talk was when Collett remembered a man named Perrin Kent. 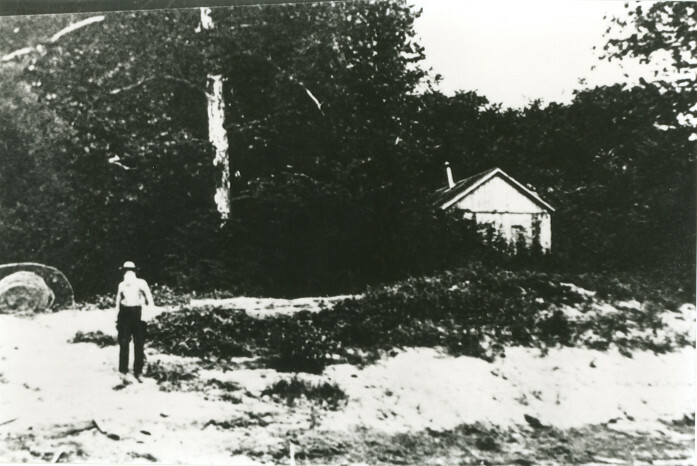 Like’s Collett’s own father and grandfather, Kent was an early surveyor and settler. Kent lived in Warren County, just north of where the geologist himself grew up. 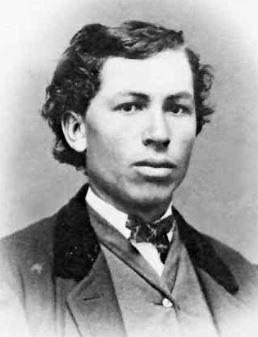 He laid out Williamsport and Attica and lived near the boom town of State Line City. 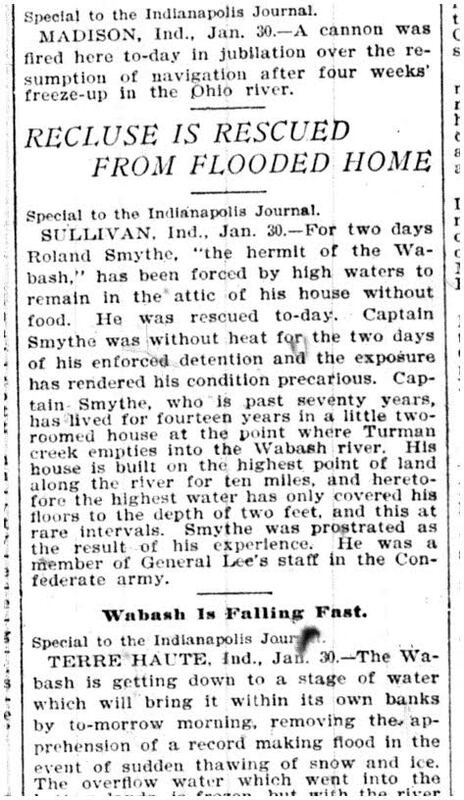 The Warren County surveyor was also an ardent campaigner for Abraham Lincoln and a good friend of the “Prairie Lawyer.” There is an interesting story here. In February 1861, his 8-year-old grandson, William H. Kent, who later became a reporter for the Omaha World News, took a train ride with President-Elect Lincoln as he crossed over into the Hoosier State at State Line City, en route to Washington. 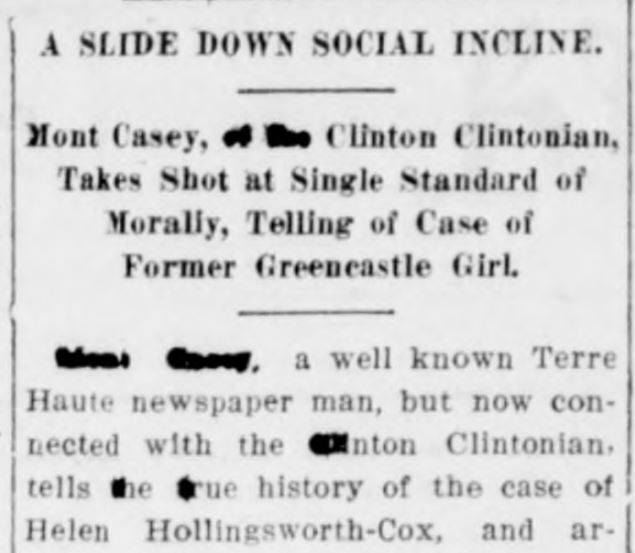 Years later, in a news article published in Omaha in 1911, Kent remembered a melancholy Lincoln looking back down the tracks in a “long and silent reverie” as they left for Williamsport, the next stop on the line. 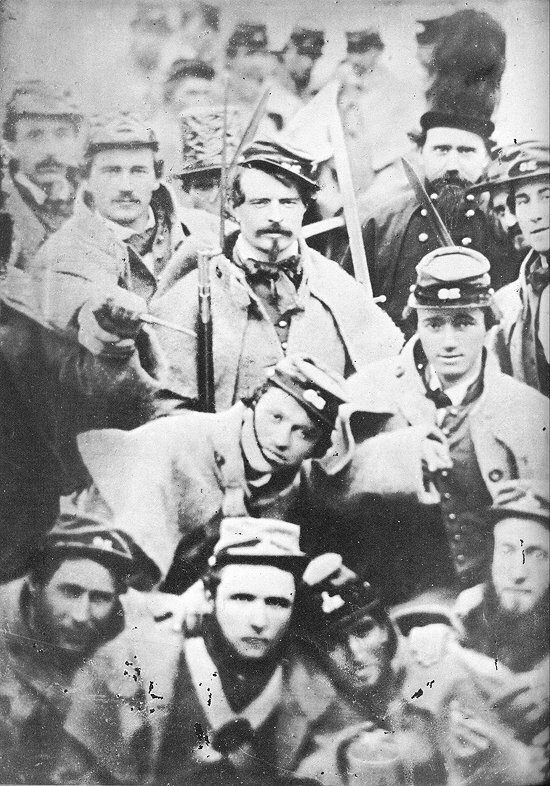 This was the last time Lincoln ever saw Illinois — a surveyor’s line, a war, and eventually an assassin’s bullet all came between him and his home. The route of the old canal there was a swamp, the old riverbed of the Wabash, twenty-five or thirty feet above the present bed of the river, and the old bed was filled with miry peat. Here were found the huge bones of the lower jaw and the teeth [of a mastodon]. . .
Mr. Kent told me that the Irishmen working in the swamp split open the leg bones of the monster animal and extracted the marrow, which had changed to adipocere [“grave wax” formed from fatty tissues], and they used it as an excellent grease for their boots. Think of it: those fellows greasing their boots with the marrow of animals that were perhaps contemporaries of Noah. Using ex-mummies as fuel on an Egyptian railroad is not near as shocking to the mind of the archaeologist. 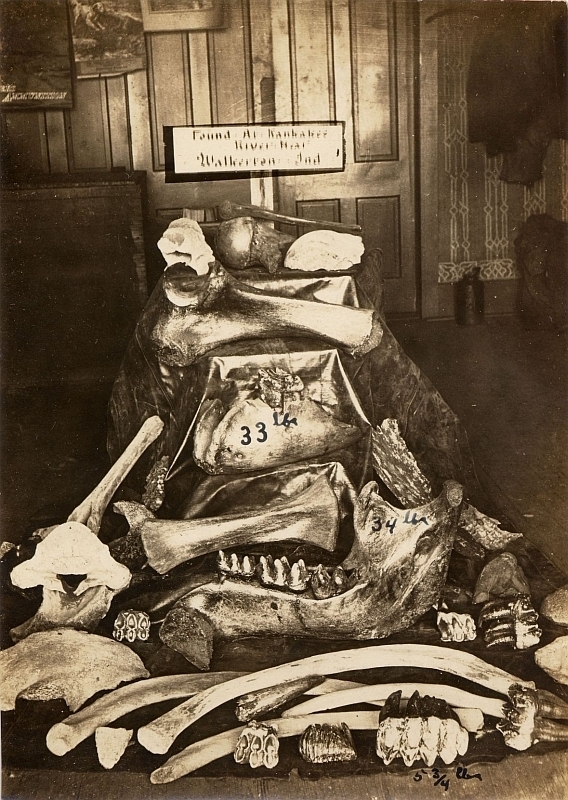 Mastodon bones found in the Kankakee River near Walkerton, Indiana, courtesy of the Walkerton Area Historical Society. With his store of fascinating anecdotes from a lifetime in the field, it’s not hard to imagine how Indiana’s great geologist became one of the most popular men in Indianapolis. (He lived at 116 N. Illinois St., a block west of Monument Circle, at the site of today’s downtown Hilton Hotel.) 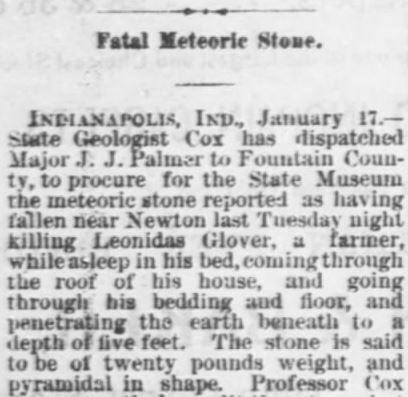 When he died of pneumonia in Indianapolis on March 15, 1899, at the age of 71, it was reported that he had lived modestly but “leaves a fortune” ($75,000). 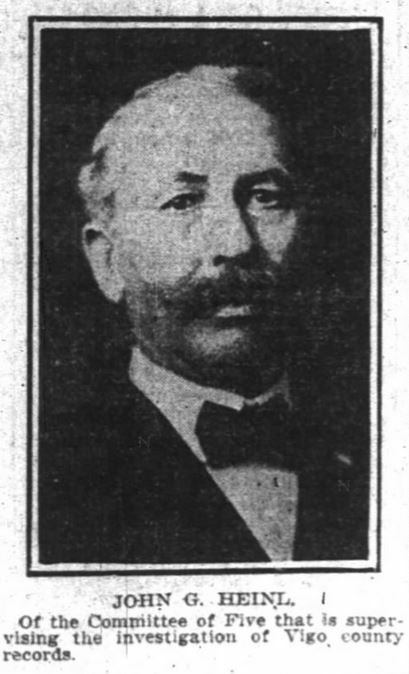 Collett never married and was buried in Terre Haute, where his family had gone into business. 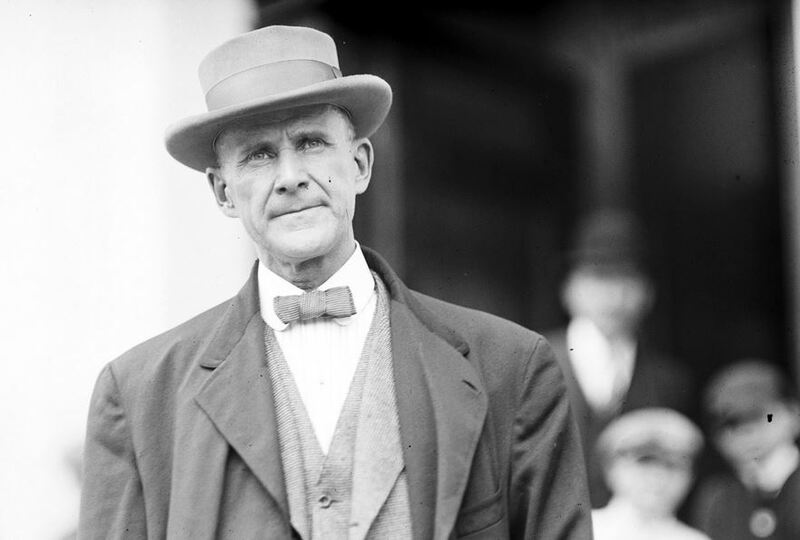 (His brother Josephus served as President of the Board of Directors at Rose Polytechnic, later Rose-Hulman.) Terre Haute’s Collett Park bears the family name. Shades State Park: What’s in a Name? When one of western Indiana’s most beautiful natural areas was turned into a state park in 1947, conservationists who had fought to protect it were faced by a publicity problem: what to do about its name, the one it had been known by for about a century? Located along Sugar Creek, 45 miles west of Indianapolis, Shades State Park sits in the “shadow” of its better-known neighbor, Turkey Run in Parke County. But as 19th-century tourists knew, the steep, even vertical scenery in these wild gorges — atypical of Indiana’s landscapes — is a powerful lure. The canyons and cliffs at Shades and Turkey Run stand out in this part of the Midwest, which was scoured, bulldozed, and mostly flattened by glaciers. Ecologically, too, these unique parks are outliers, reminders of a time when Indiana looked more like Wisconsin or Canada. Pine Hills Nature Preserve, now part of Shades, contains one of the southernmost stands of white pines in America. 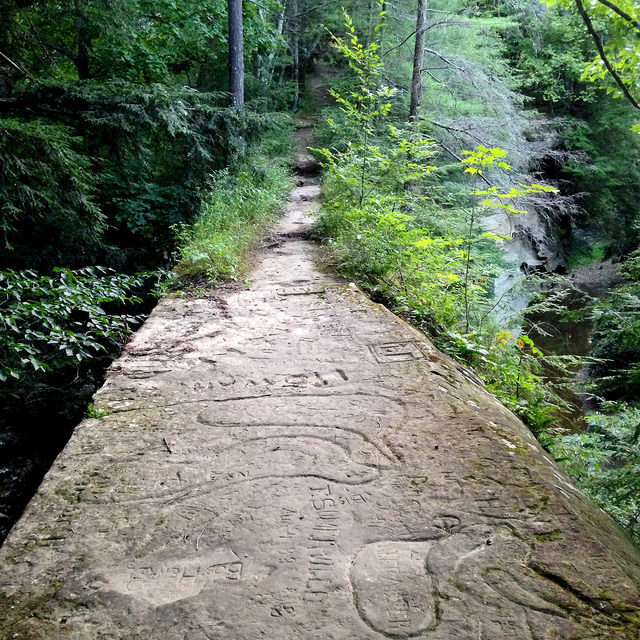 Other geological vestiges of a “primitive,” ancient Indiana are the fern- and lichen-covered sandstone gorges, strewn with small waterfalls, along Sugar Creek. In fact, as the founders of the Indiana state park system knew when they created the first parks to commemorate Indiana’s 1916 centennial, Turkey Run and Shades are among the few Hoosier landscapes that pioneers would recognize today. 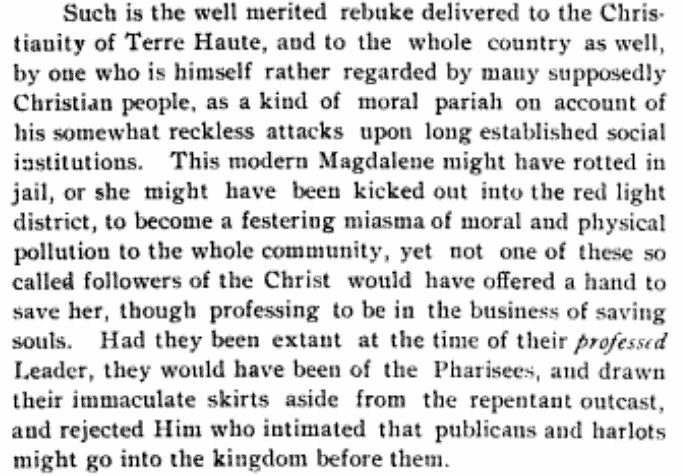 Yet most pioneers avoided Shades. Mostly because of geology: the steep area was too difficult to farm or even log. But partly, it could be, because of folklore and a name. 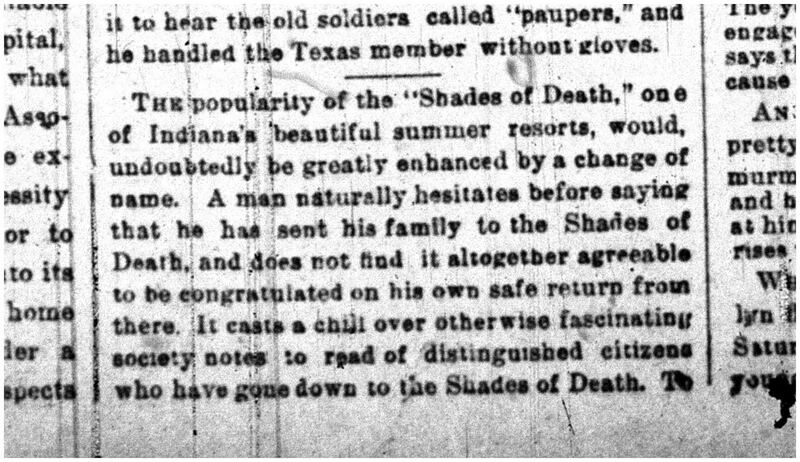 From sometime in the mid-1800s until 1947, what we call Shades was almost always known by its old pioneer name, the “Shades of Death.” Although the spot was a popular tourist destination as early as the 1880s, and the name didn’t seem to scare many visitors away, an unknown writer in the July 22, 1888, Indianapolis Journal suggests changing it to something less ominous. 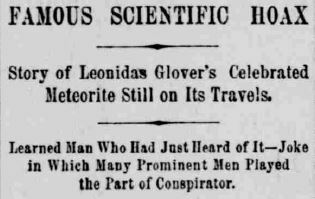 The Indianapolis Journal, July 22, 1888. Hoosier State Chronicles. A man naturally hesitates before saying that he has sent his family to the Shades of Death, and does not find it altogether agreeable to be congratulated on his own safe return from there. It casts a chill over otherwise fascinating society notes to read of distinguished citizens who have gone down to the Shades of Death. To be sure, they are heard of the next week as coming back, but the emotions which arise over their return are of the sympathetic sort that go out to those who have been to the gates of death. . . 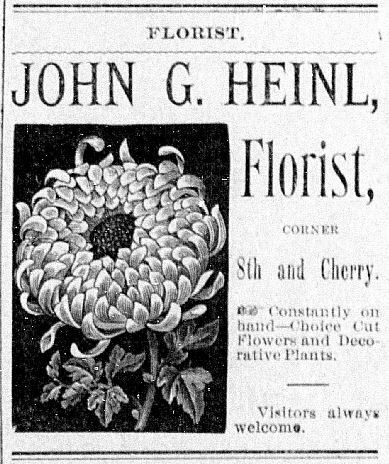 The Shades of Death should become the ‘Indiana Eden,’ or ‘Montgomery County Paradise,’ or, being a Crawfordsville adjunct, the ‘Litterateur’s Retreat’ – anything to relieve the gloom. 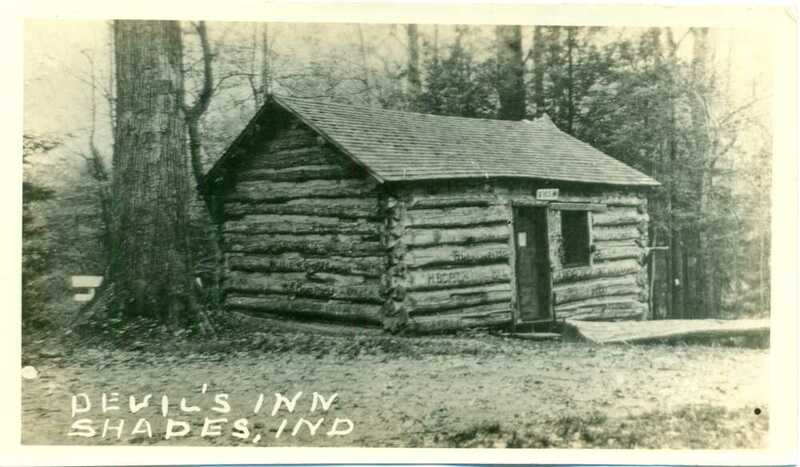 What was the origin of this old Indiana place name? In his Sugar Creek Saga (1959), Montgomery County historian Theodore Gronert thought it came from the pioneers’ morbid associations with danger (Native Americans and animals) lurking in the shades. Few settlers, in fact, came to this part of the county. Yet one of those who did settle in the vicinity, an Irishman named Alexander Weir, reportedly chose the area because of its wild beauty. Weir was said to have named the spot on Sugar Creek where he lived “Balhinch” after his native village in Ireland, which this rugged place supposedly reminded him of. Others speculate that the name “Shades of Death” actually comes from a lost Native American name for the canyons along the creek. Miami and Shawnee bands are thought to have lived in this area just before European settlement. Though not well substantiated, there is a Potawatomi legend about a huge pitched battle against the Miami, an event that may have taken place on the steep terrain of Pine Hills and Shades in the 1770s, when these tribes fought each other for control of the Illinois prairies and part of the Wabash Valley. 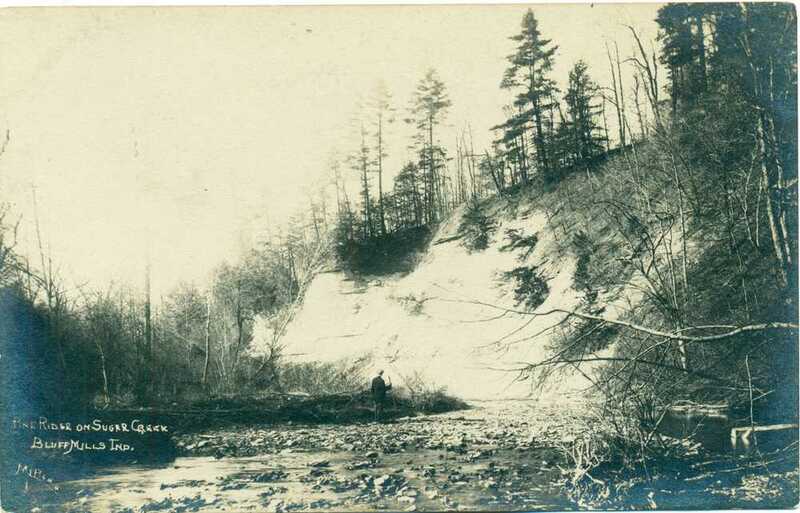 The legend alleges that nearly 600 warriors on both sides were slaughtered in these canyons, with only seven Potawatomi living to tell the tale as the last five Miami scattered into the woods in defeat. The truth of the story is nearly impossible to tell. What is certain is that in 1836, a frightened woman-or perhaps teenage girl-went to trial in Montgomery County, the first woman ever tried for murder here. Surviving records at the courthouse in Crawfordsville show that she was known only as “Mrs. Rush”. 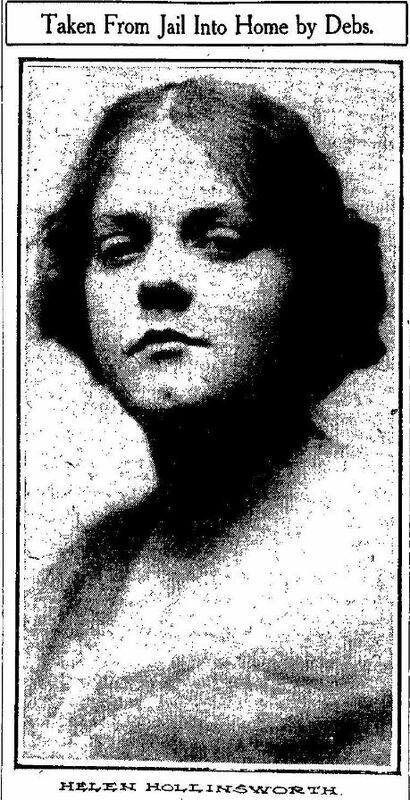 She lived with her husband, a pioneer named Moses Rush, whom folklore claims was also an outlaw, along part of Sugar Creek near what became Shades. H.W. Beckwith’s 1881 history of Montgomery County says the Rush cabin was “just below where Deer and Canine’s Mill now stands.” (This is the Deer Mill covered bridge at the edge of the park near Pine Hills.) The remote spot probably suited Rush, who seems to have been a wild man, a drunk, and a brutal wife beater. Probably nothing at all is known about Moses Rush except that one night in 1836, according to his wife’s court testimony, he came back to their cabin drunk and threatened to kill her. Fortunately, Rush decided to take a nap first. Fearing for her life, his battered wife took an axe and split his skull open — then went to a neighbor and reported her crime. The trial was short. The judge and jury were sympathetic. 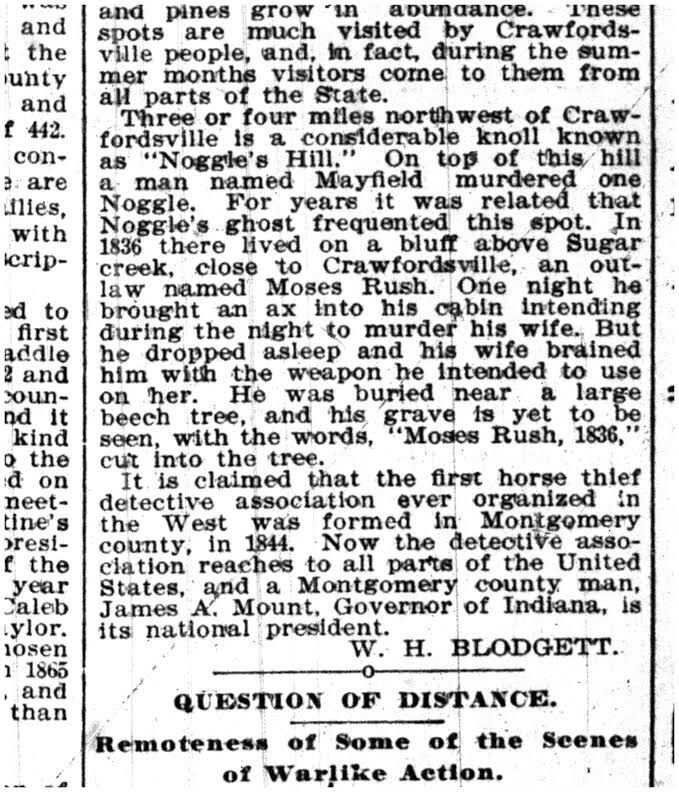 Moses Rush’s widow was acquitted and possibly even congratulated for ridding Montgomery County of him. 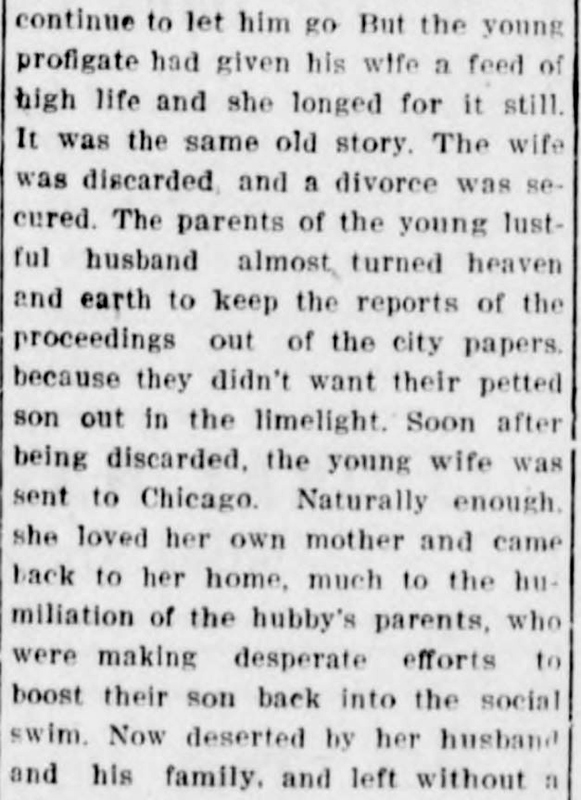 Indianapolis News, June 6, 1898. Hoosier State Chronicles. 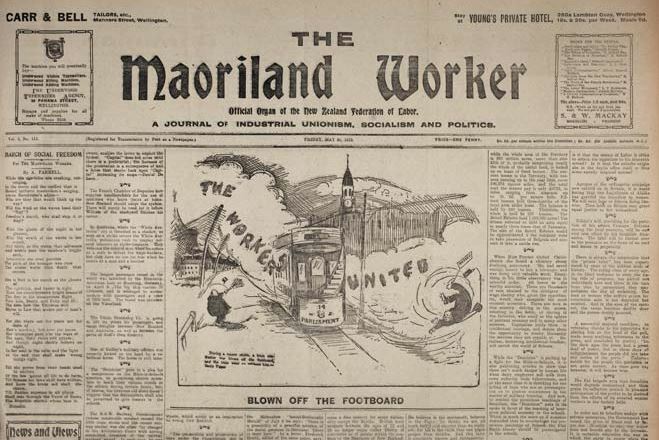 Fearing he was going to be cheated of his inheritance, a 33-year-old farmer, Milton Wineland, brought a double-barreled shotgun to the farm of his father, Frederick. 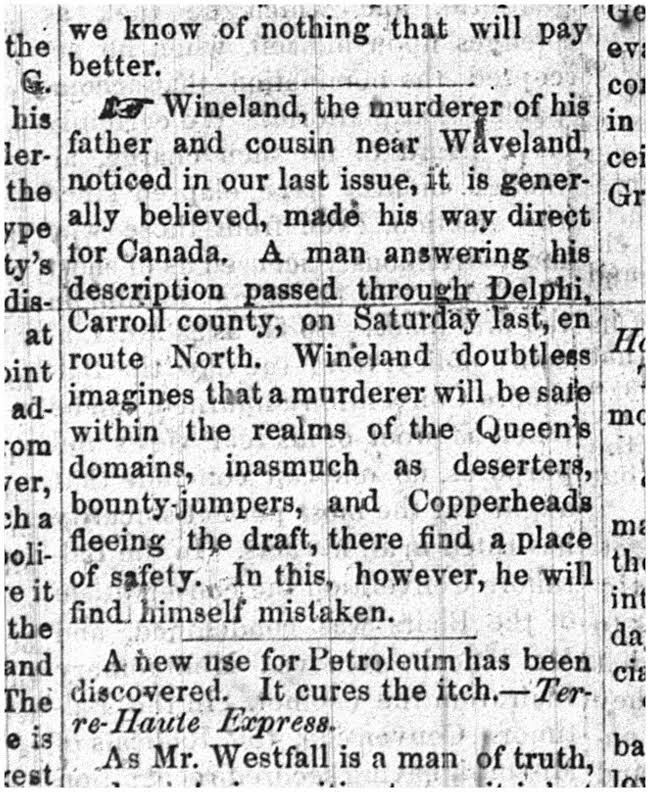 Frederick Wineland “resided in Montgomery county, about four miles northwest of Waveland, but was murdered in this county [Parke], the county line running between his house and the field in which he was at work.” Milton “inquired of his helpless mother where his father was,” then went out in the field, hid behind a fence row, and shot his father and cousin dead. Despite the murders, the future park was a peaceful place, considered wild and romantic. 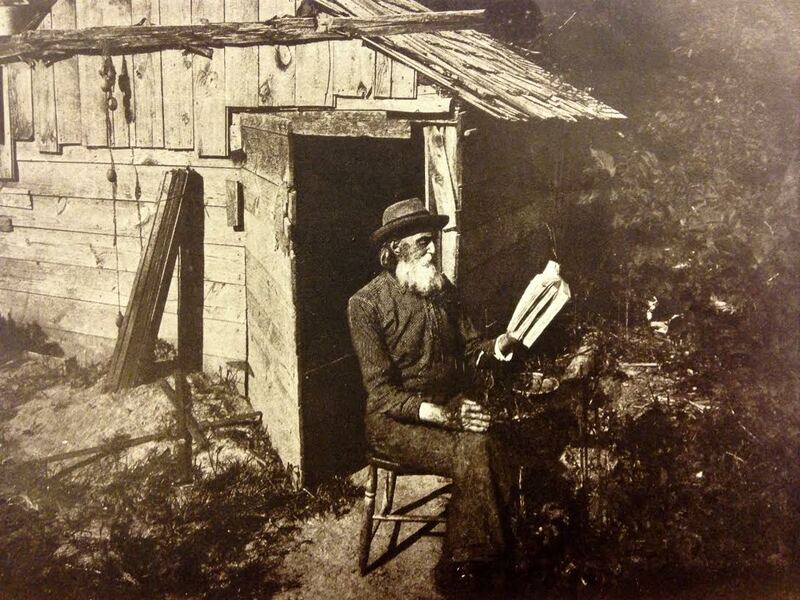 It was probably an early stomping ground of Indiana’s most famous painter. Though best known for his Impressionist paintings of Brown County in southern Indiana, T.C. 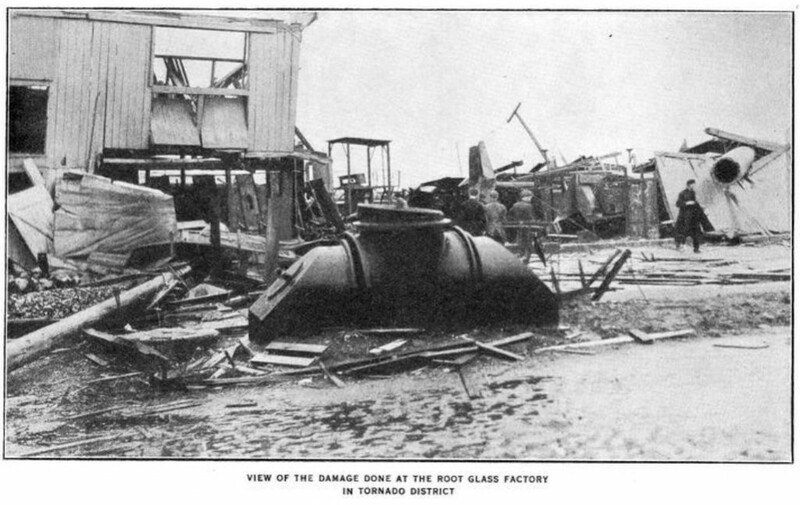 Steele grew up in Waveland, the closest town to “Shades of Death”. When he was given a box of paints, Steele began his formal art training at the Waveland Collegiate Institute, later called Waveland Academy, then at Asbury College (now DePauw University) thirty miles down the road in Greencastle. A young T.C. 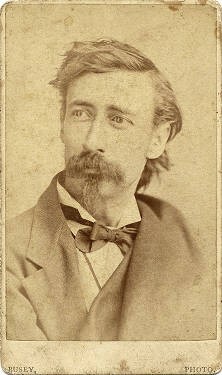 Steele, courtesy of the Indiana Historical Society. 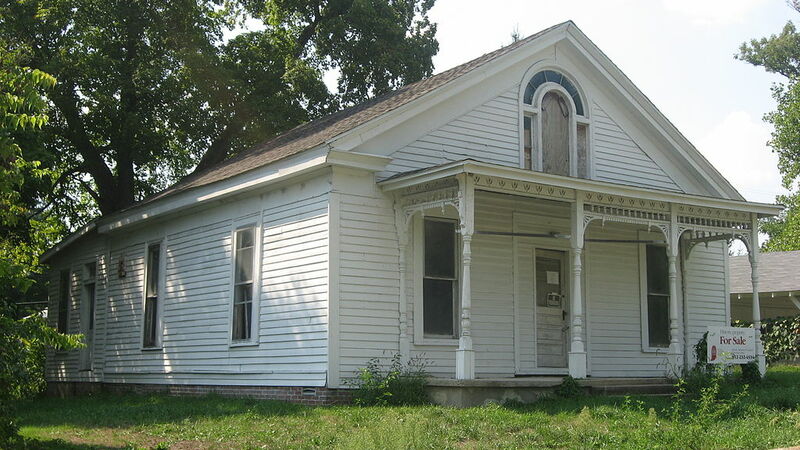 Steele’s boyhood home in Waveland, a ca.-1850 cottage, was bought for restoration in 2014 for $12,500. These passenger pigeons or doves were carved onto a natural rock bridge called the Devil’s Backbone at Pine Hills in the late 1800s. A portrait of the Devil himself was also graffitied here. Photo by the author. 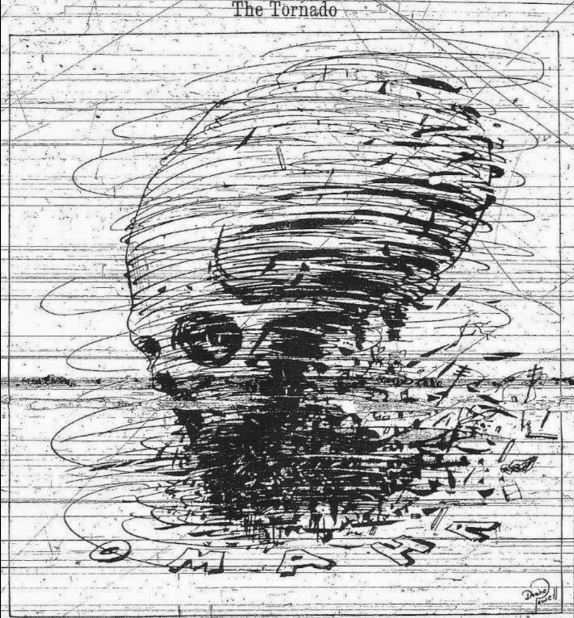 Shades of Death was mostly a happy place, but one last story from the turn of the century nearly led to a student’s tragic end. 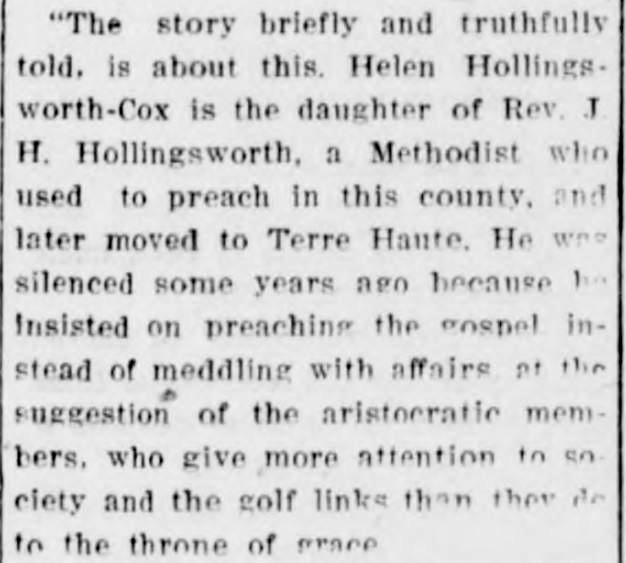 In February 1903, a gang of fifteen freshmen at Wabash College “entered the Wells Club at the supper hour” and kidnapped a member of the rival sophomore class, a student from Iowa named Andrew Thornell (some papers call him Thornley.) Thornell was the captain of the Wabash College baseball team. 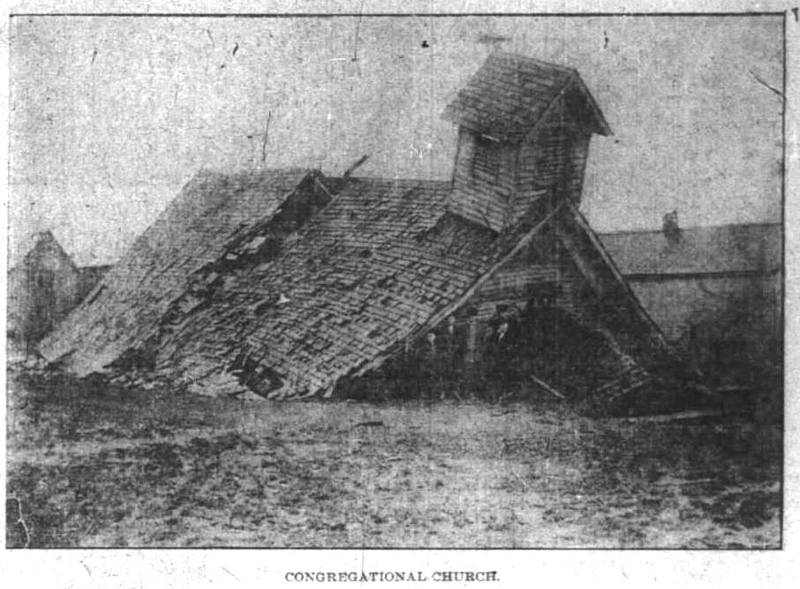 Handcuffed, blindfolded, and shoved into a buggy waiting in an alleyway, Thornell ended up being taken at night to a lonely hut or solitary farmhouse near the Shades of Death, twenty miles southwest of Crawfordsville. 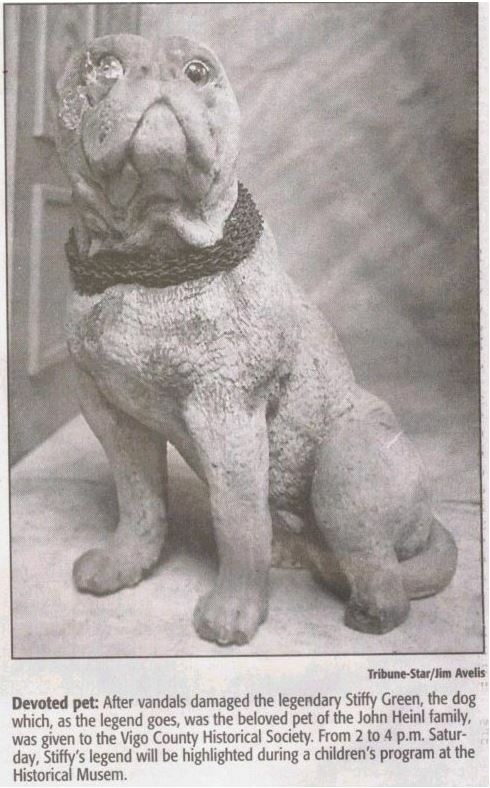 Three freshmen fastened him to a wooden block on the floor and kept watch over him. 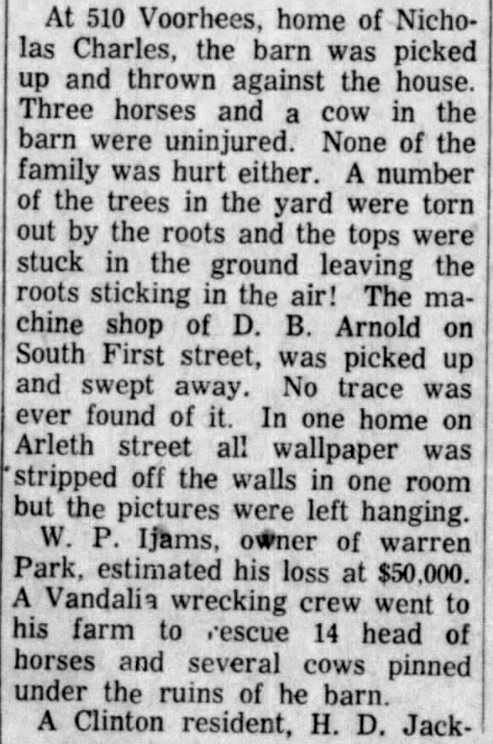 The freshmen must have fallen asleep, since Thornell broke loose, jumped from a window, and struck out through the woods around Shades and Pine Hills. 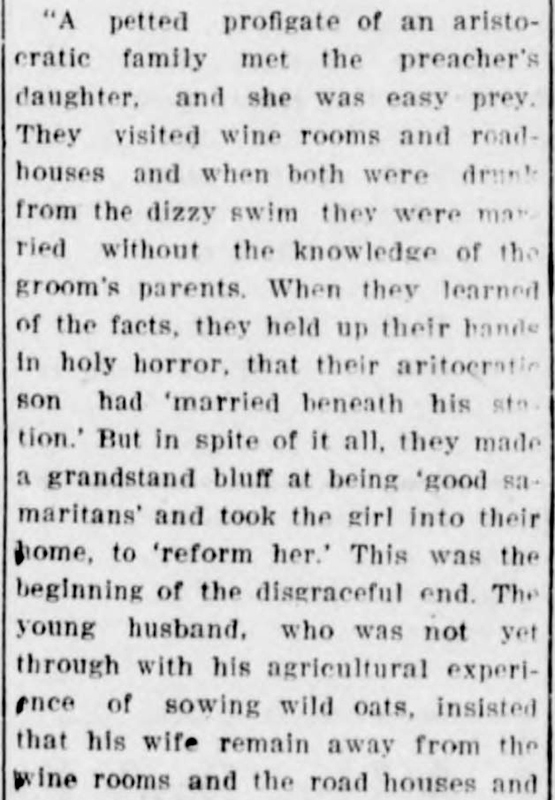 Exposed to the elements, the “kidnapped” student got lost and “walked many miles” before he found a farmhouse where someone offered him shelter and food. 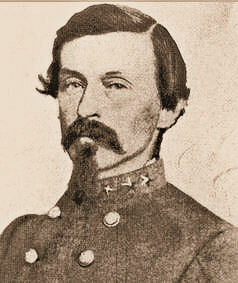 Thornley caught pneumonia that night and nearly died, leading Wabash College to investigate the prank. 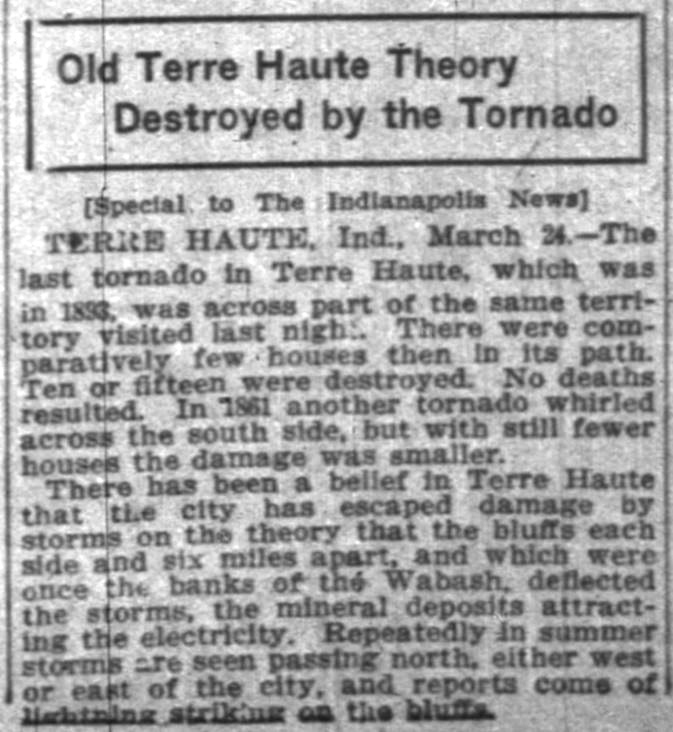 The sophomore’s escape from captivity made several state newspapers. 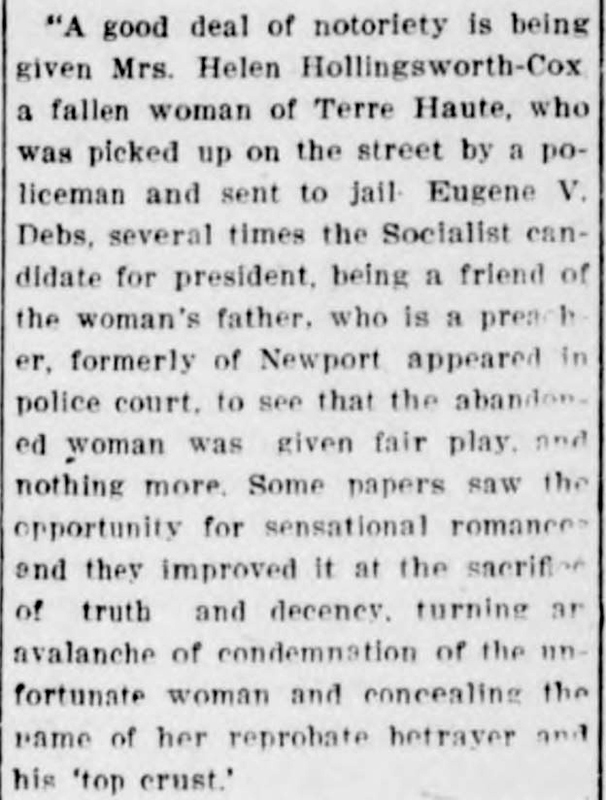 His “brutal treatment” near the Shades of Death even appeared in Indianapolis’ German-language Indiana Tribüne. Almost every landscape has a story or two that brings it to life. Many will surely remain untold forever, lurking in the “Shades of Death” where old stories go.